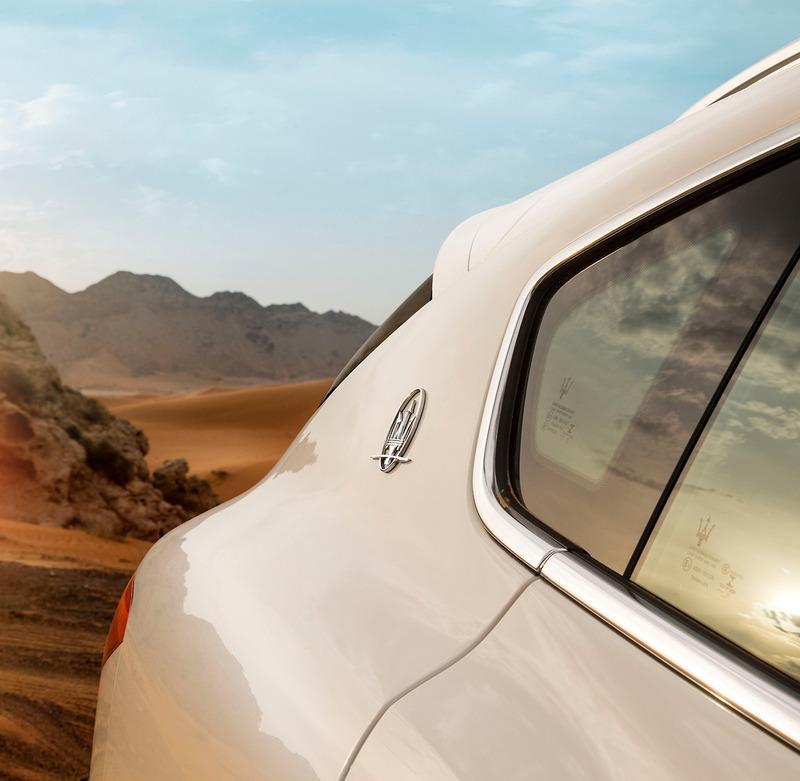 The agency was asked to develop communication to drive purchases during Ramadan, while reinforcing the Maserati brand values and equity. 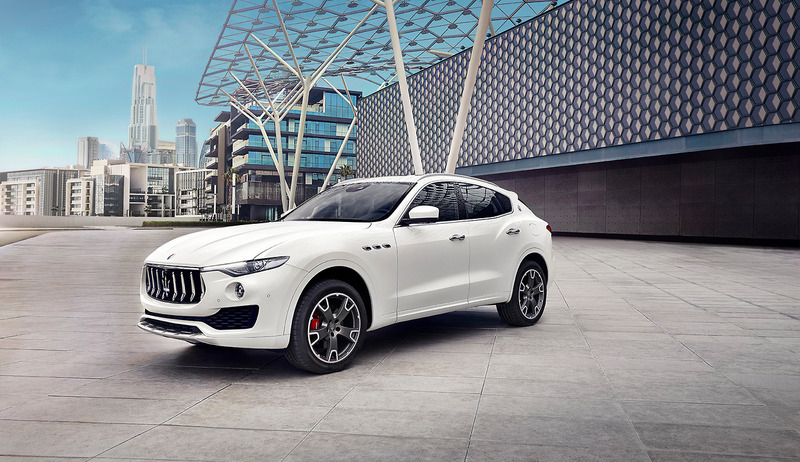 Maserati has tradition in its DNA. 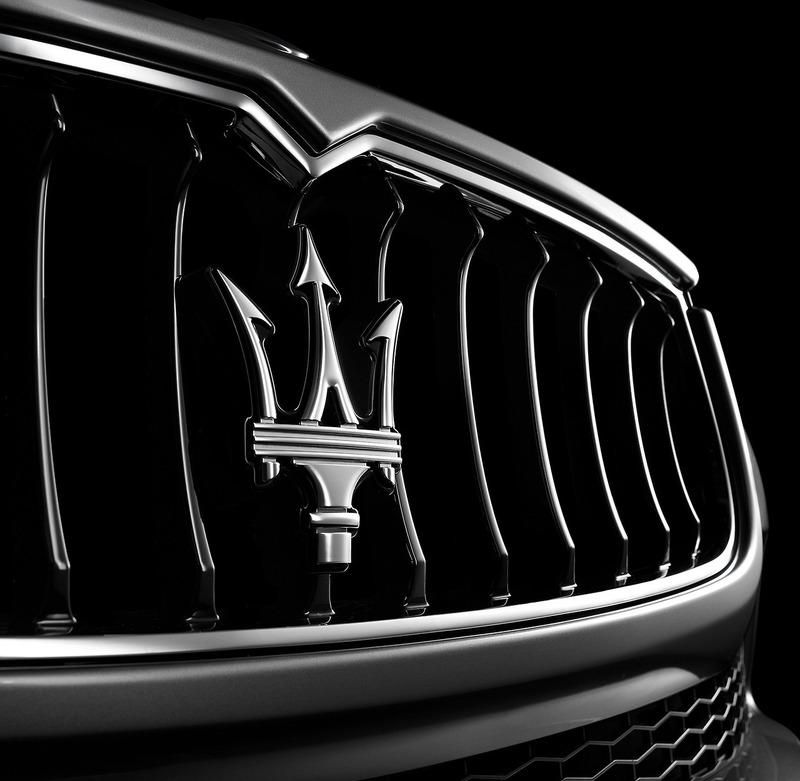 Honoring traditions the Maserati way. 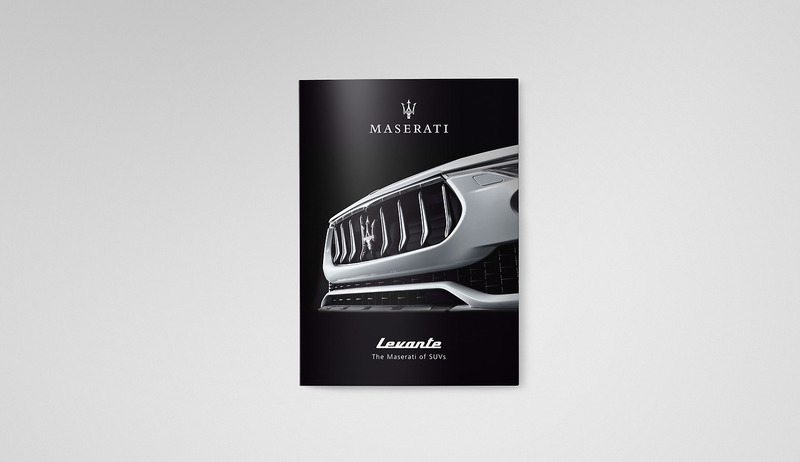 We integrated the visual language and the key messaging, along with customer engagement at the showroom and otherwise to reflect the brand values and equity in communication that showcased the products against iconic architecture that reflects tradition. 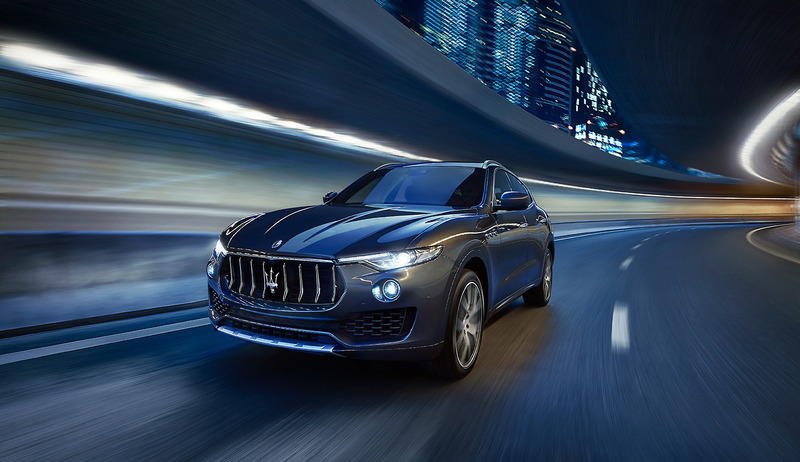 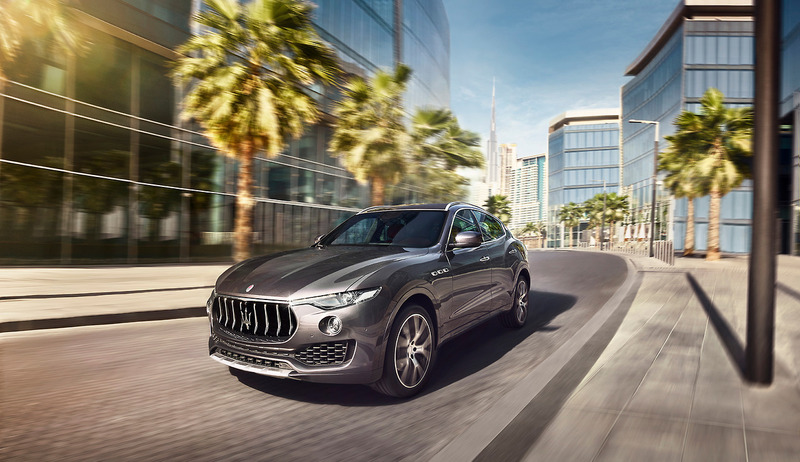 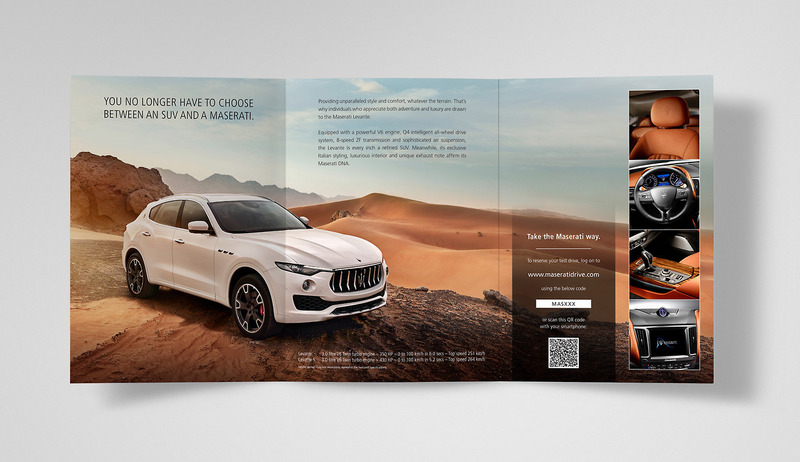 Maserati wanted to create a launch communication for the Levante - Maserati's SUV range for the Middle East and African markets. 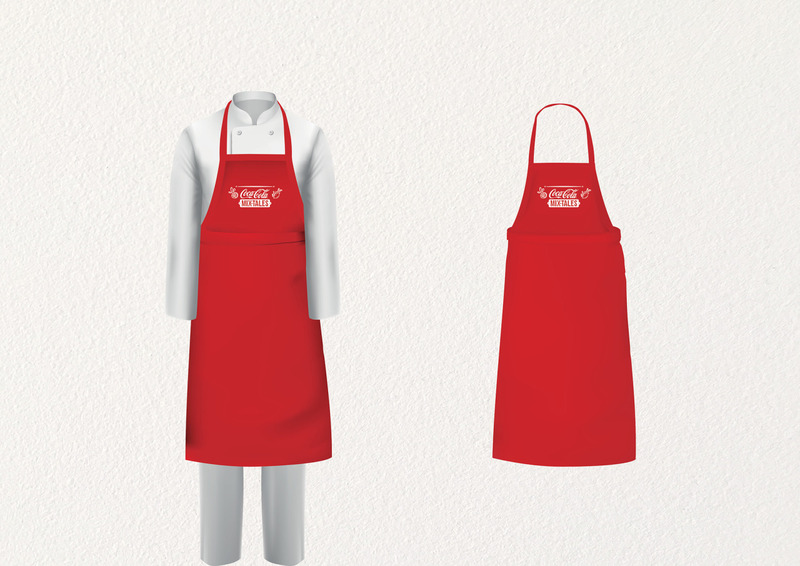 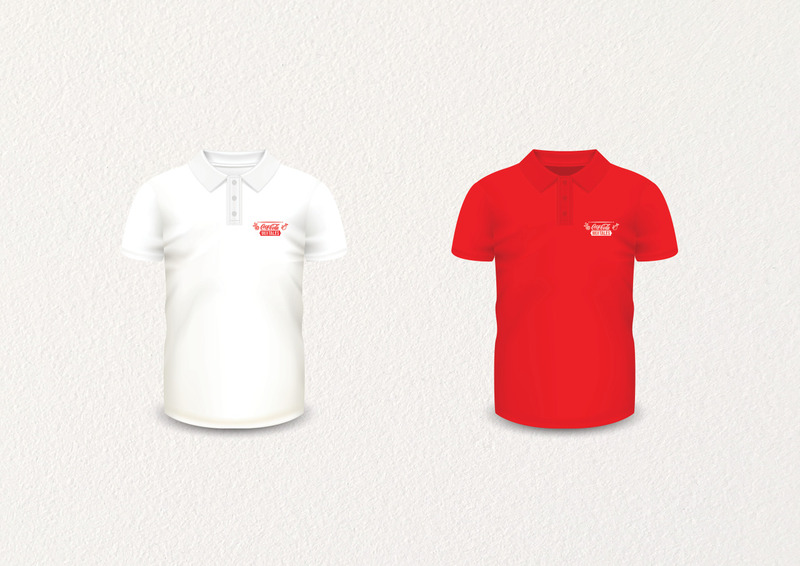 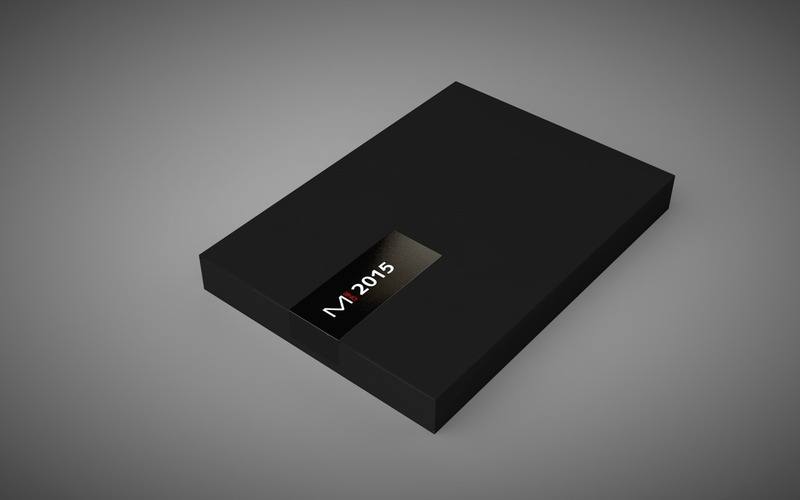 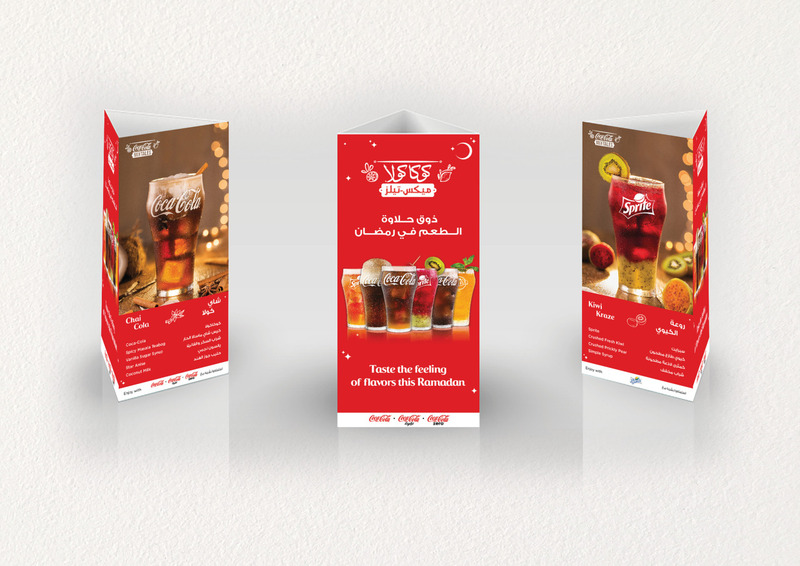 The objective of the campaign was to raise brand awareness and generate quality leads. 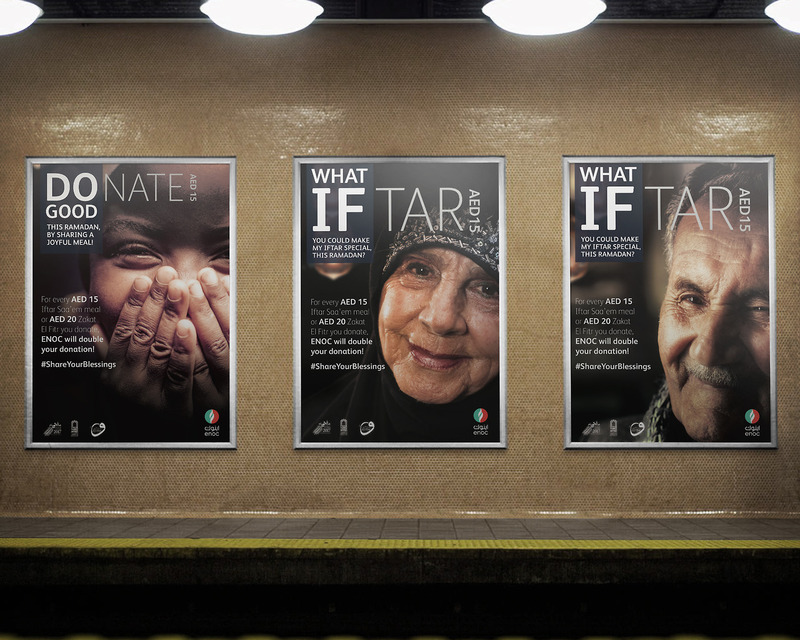 The agency developed a regionally adaptable campaign that launched on TV, digital media, print and outdoor. 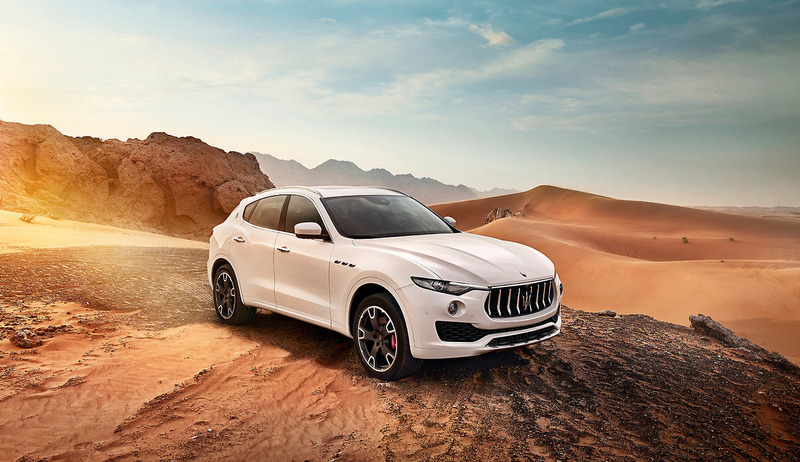 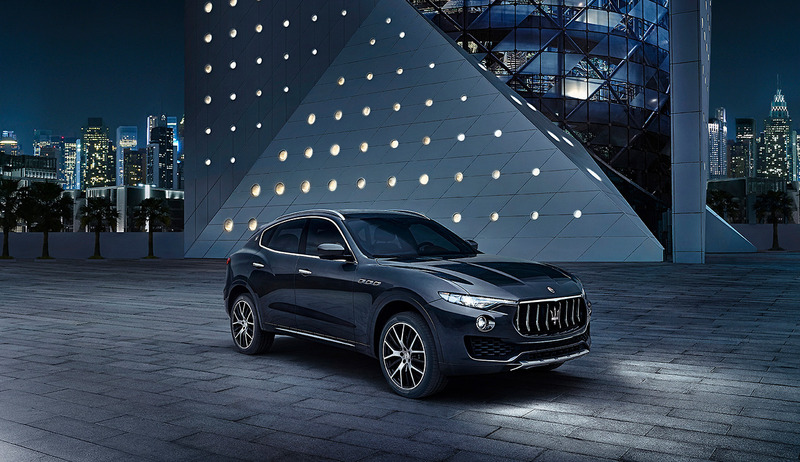 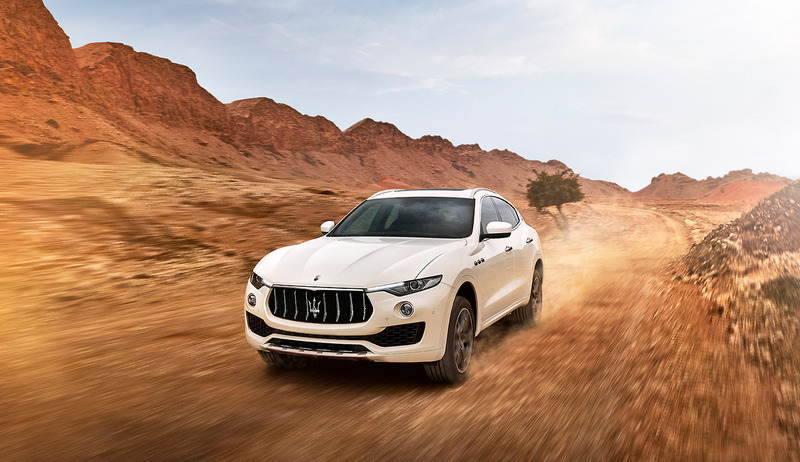 The master visuals for the Levante were created with the desert and urban backdrops to showcase Maserati's international values and how it effortlessly adapts it to regional landscapes. 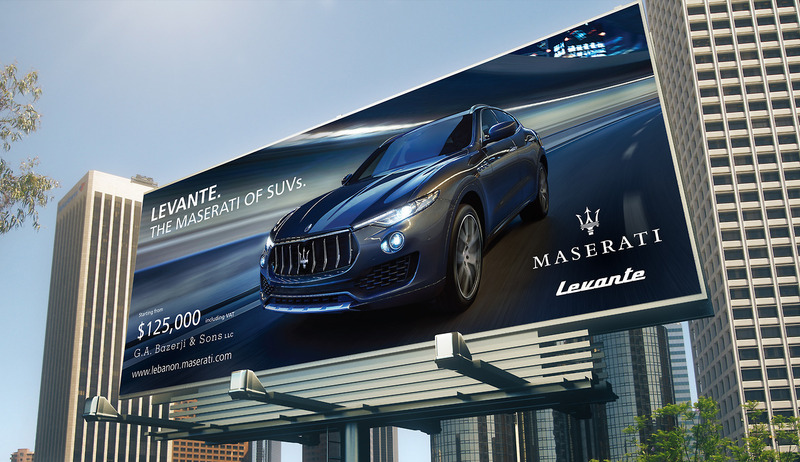 The multipronged media strategy combined with the right choice of collaterals were designed to target the sophisticated Maserati prospects and convert them into brand loyalists. 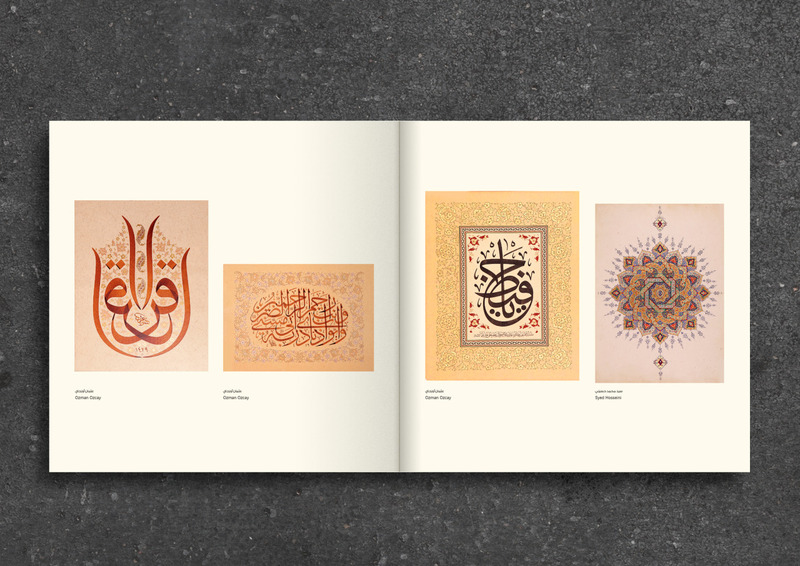 The largest collection of calligraphy masterpieces in the world. 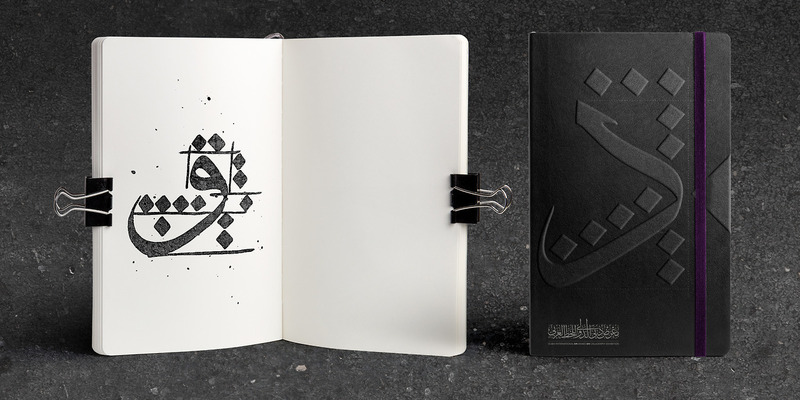 A fascinating art form that absorbs the viewer. 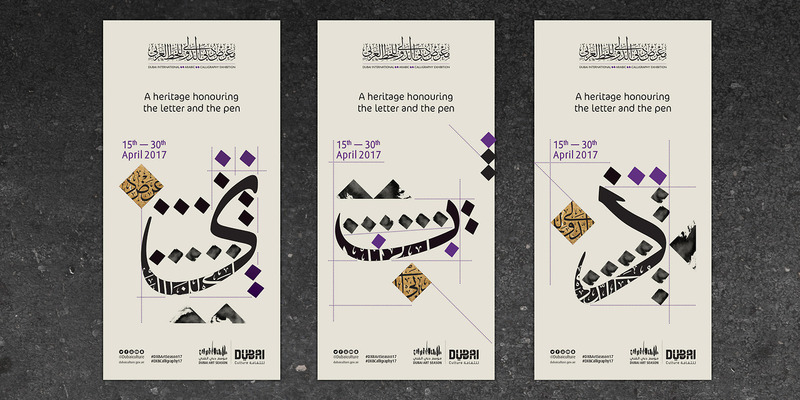 The dot being the primary element of calligraphy, it is used in a series of three key visuals to highlight the basic building block and the alphabets form itself. 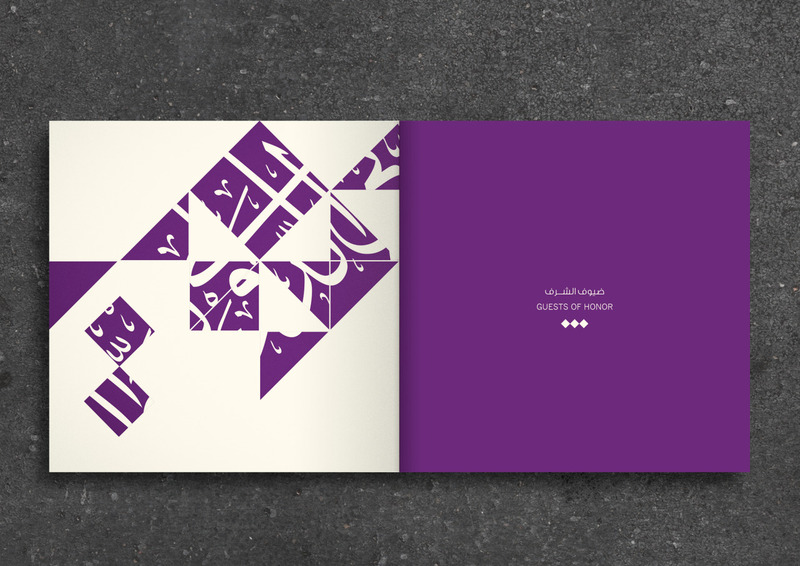 Together, the three designs form an abstract representation of the word. 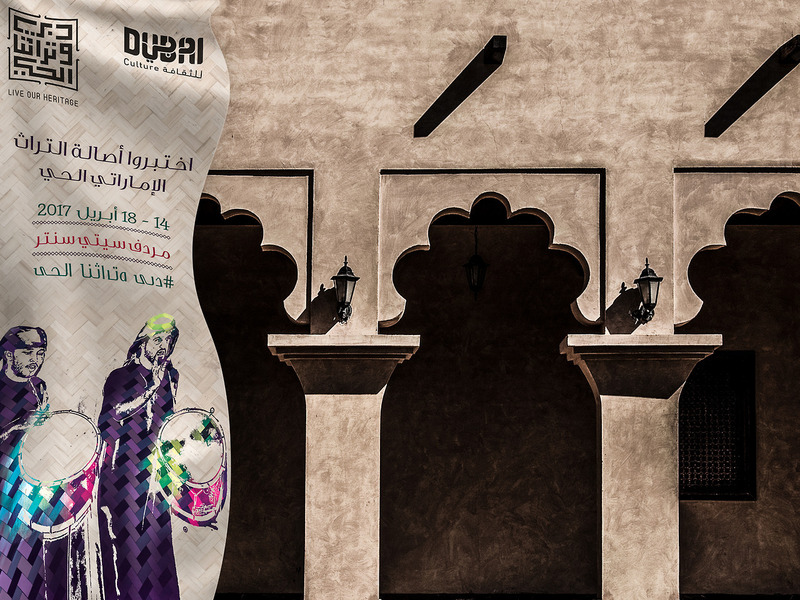 Dubai, the home of art and the exhibition venue. 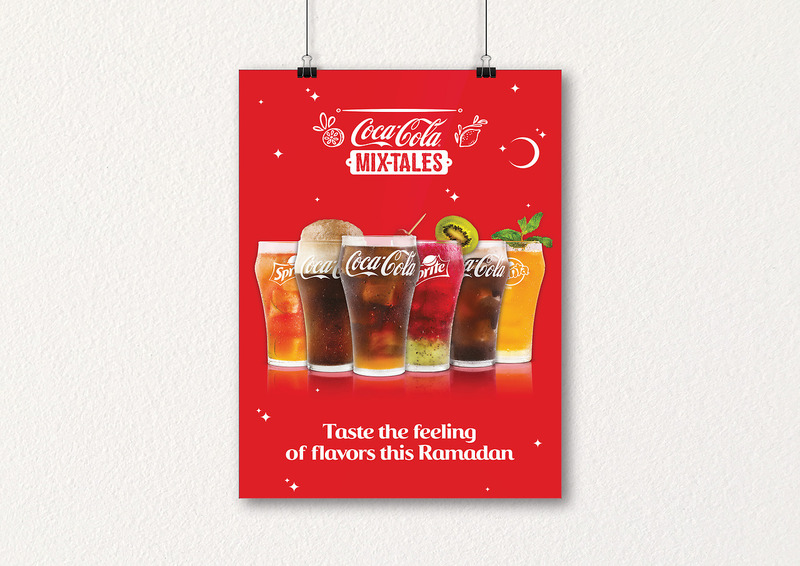 The agency was tasked with launching 12 delicious cocktails - 6 during Ramadan and 6 during the summer. 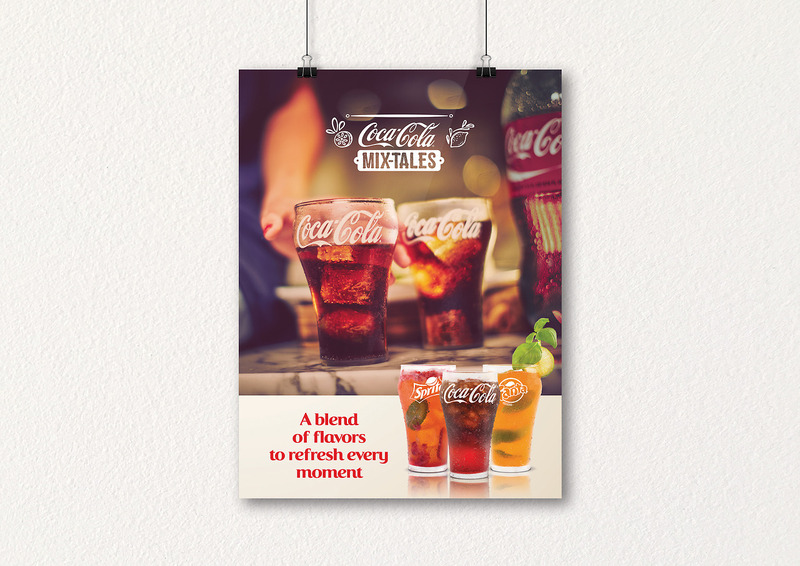 We were asked to devise communication that engages with consumers of this new category of cocktails. 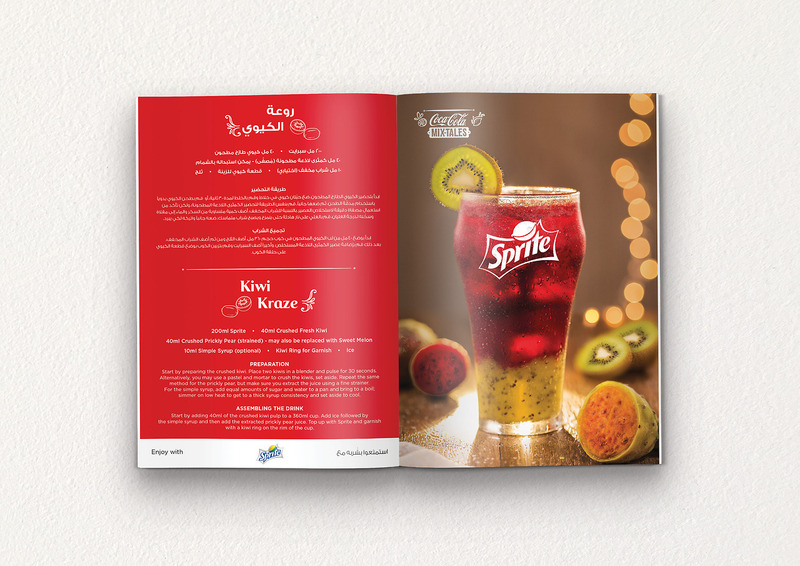 A cocktail with no alcohol appeals to just about everybody. 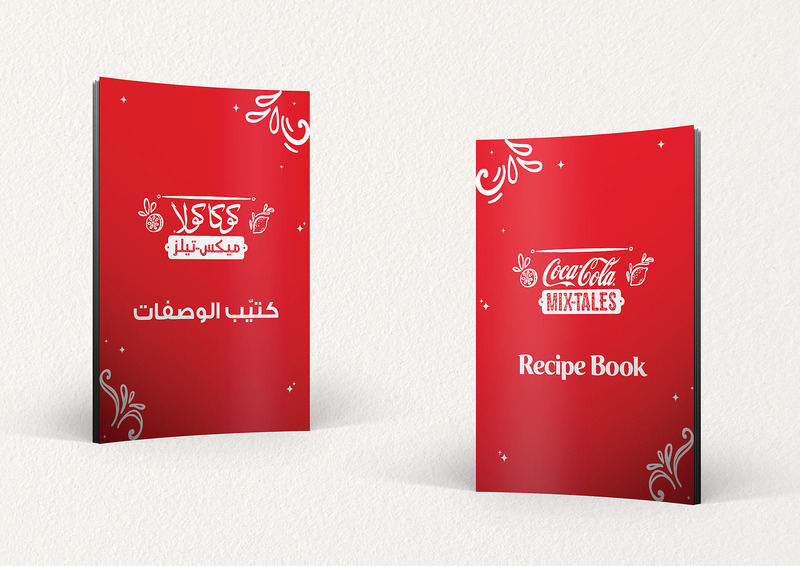 A Mix-tale - A story to be shared while enjoying food with the family. 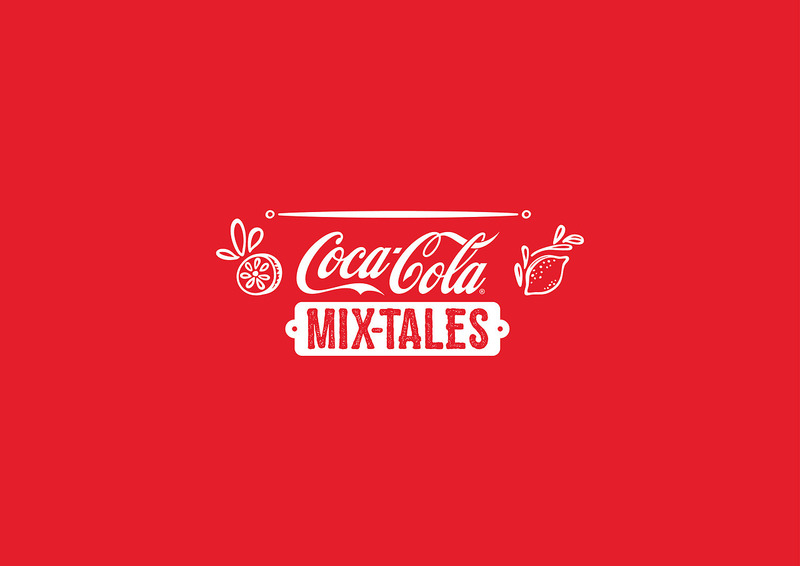 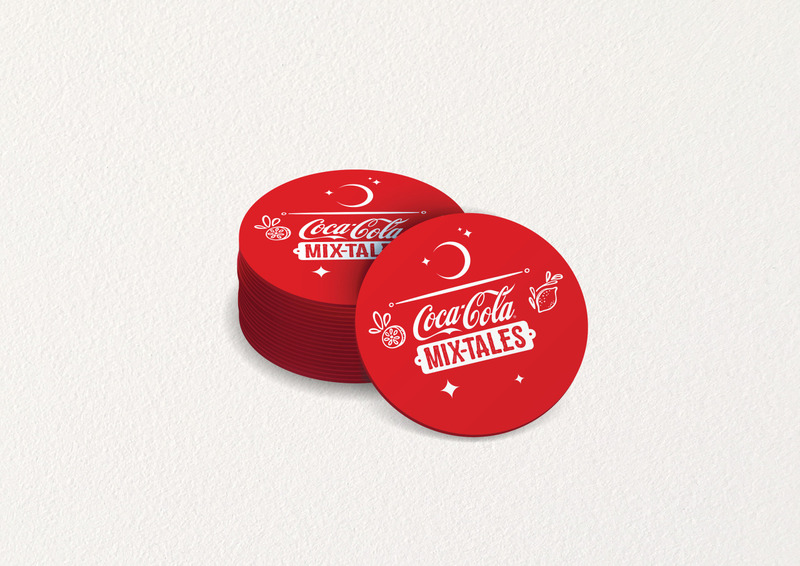 The mix-tale not only compliments the meal, it completes the moment. 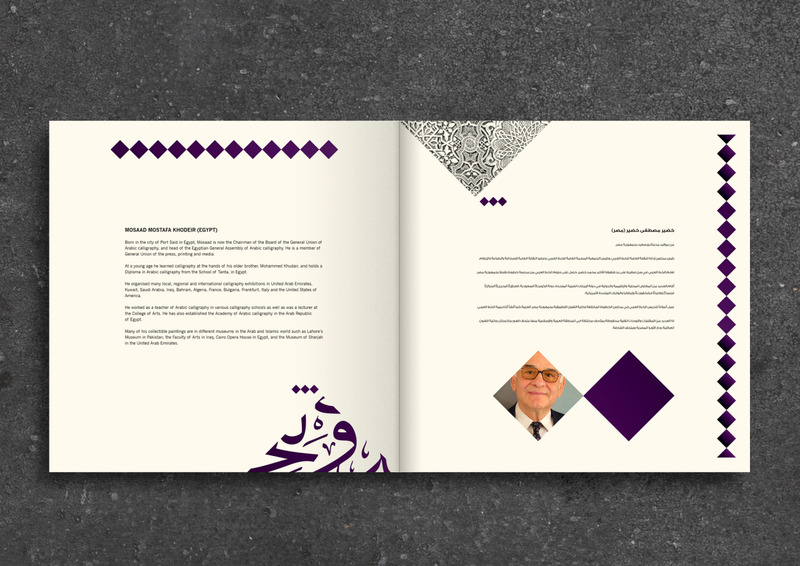 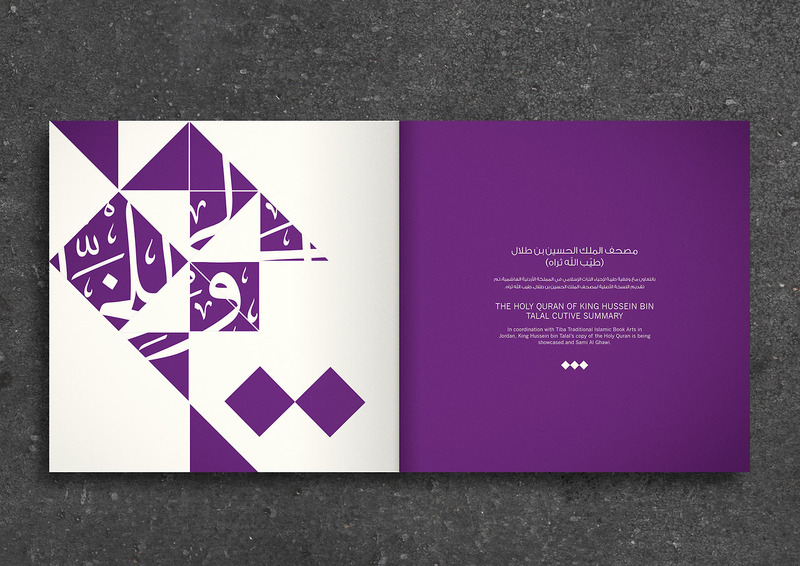 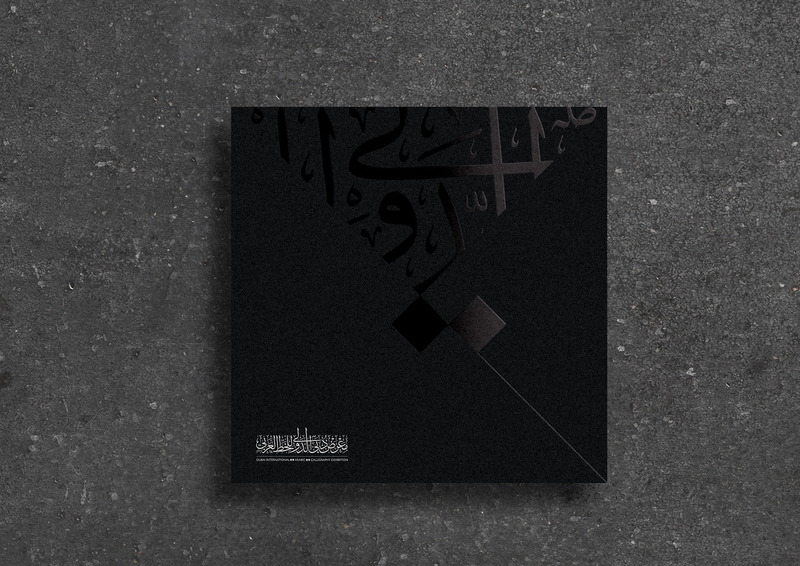 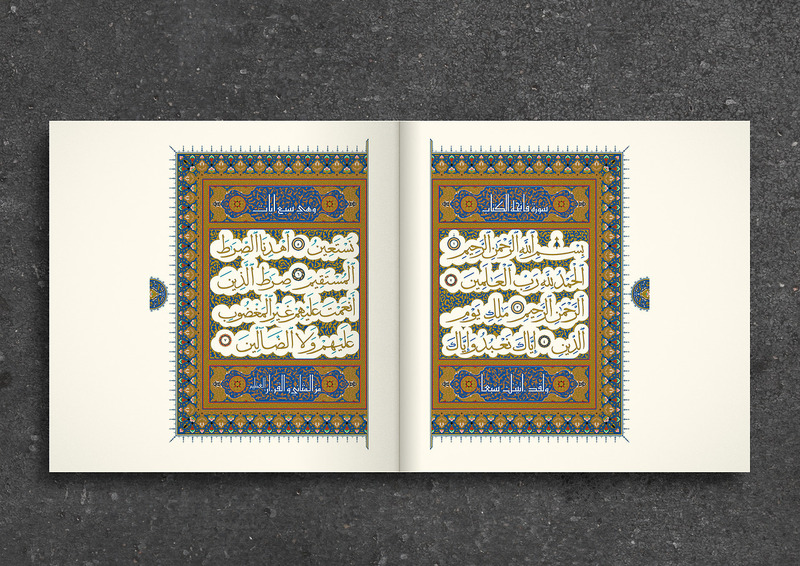 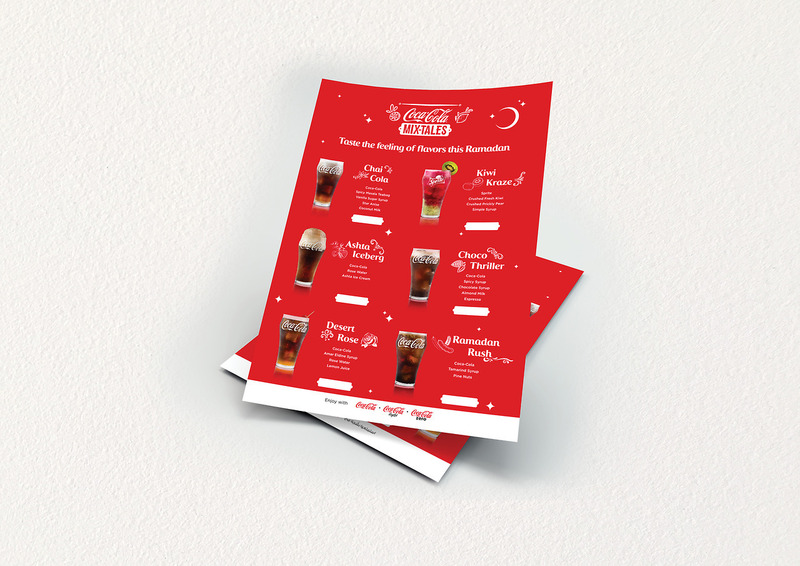 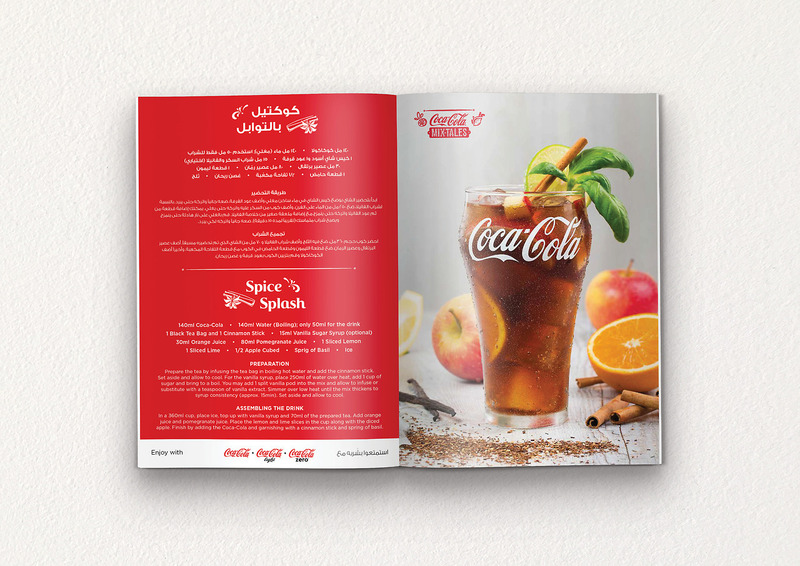 A complete toolkit comprising of print ads, postcards distributed in-store and at restaurants, outdoor and posters were developed for Ramadan and the summer to engage with our audience. 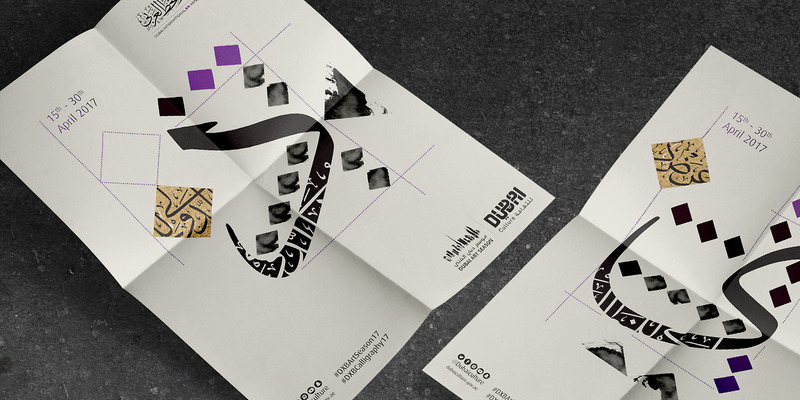 Zoom wanted the agency to popularize the ENOC Zoom promotion and convert prospects into customers. 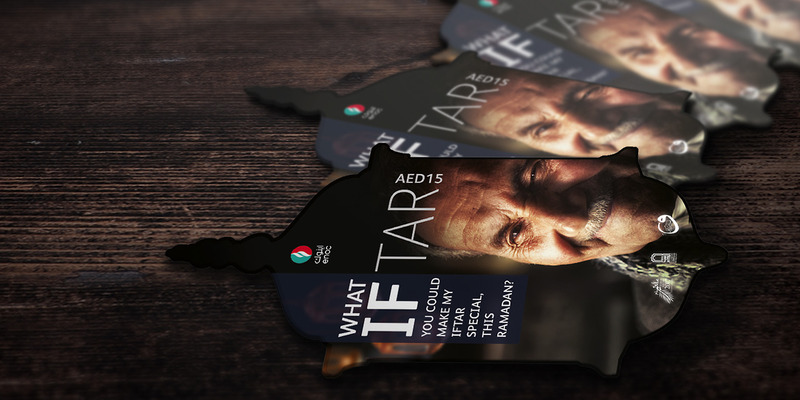 Anybody who spent AED 25 on non-fuel products got a chance to enter a raffle and win AED 100,000 every week. 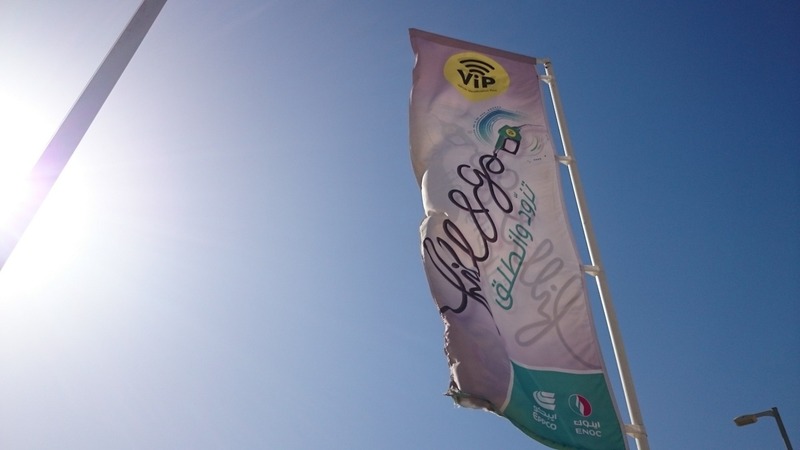 In total, 6 winners were to be rewarded during the promotion period. 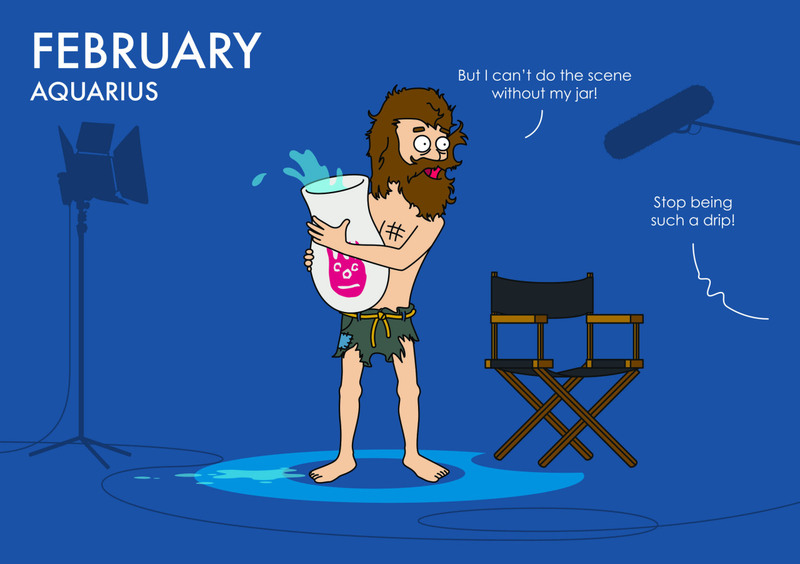 Maximum reward for minimum effort. 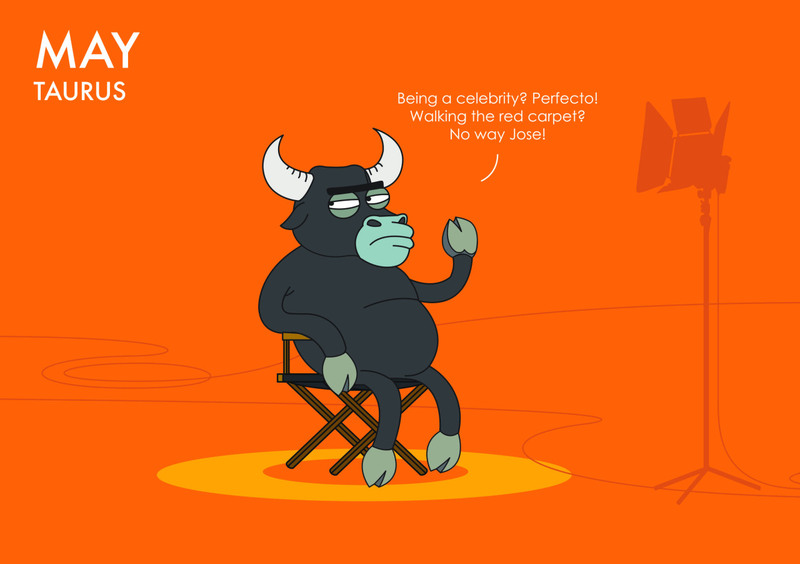 The conversation starter of "What would you do if you if you win a large amount of money?" 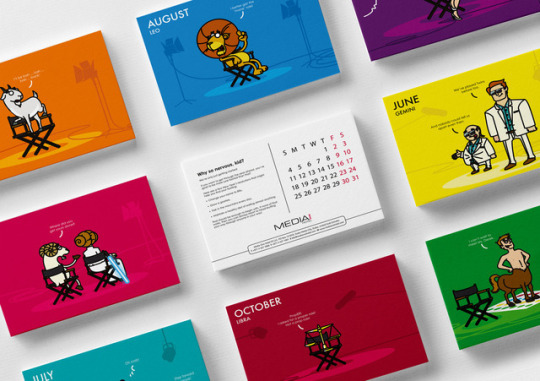 was used along with visuals that implied the most probable course of action, integrated into everyday products purchased at Zoom, made for a compelling proposition. 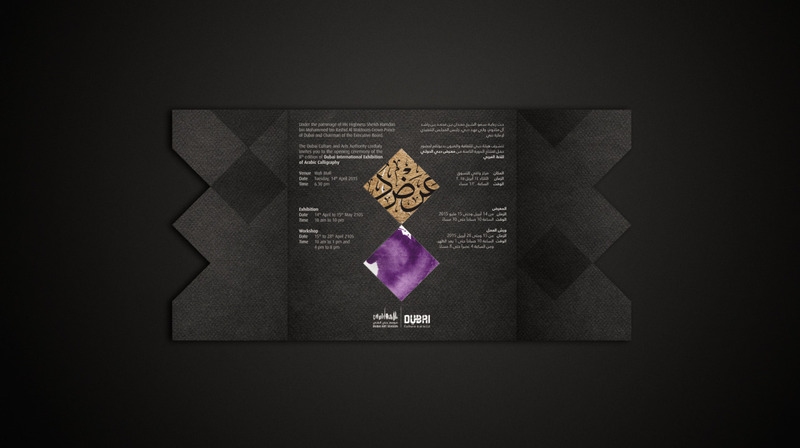 ENOC in partnership with the Beit Al Khair Society enabled customers to donate a meal for charity during Ramadan. 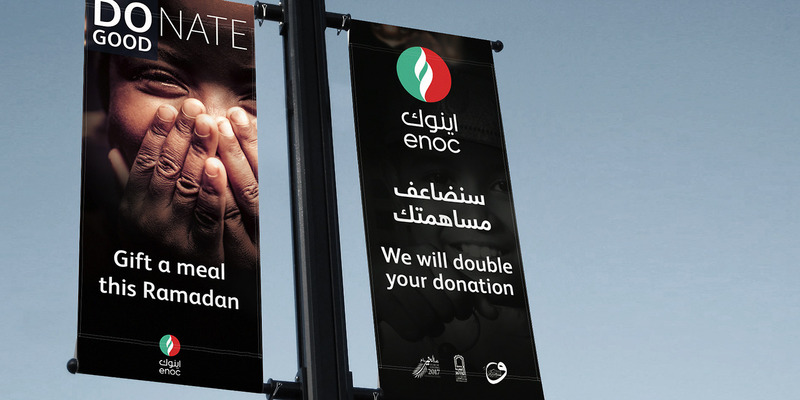 For every donation made, ENOC promised to match the donation. 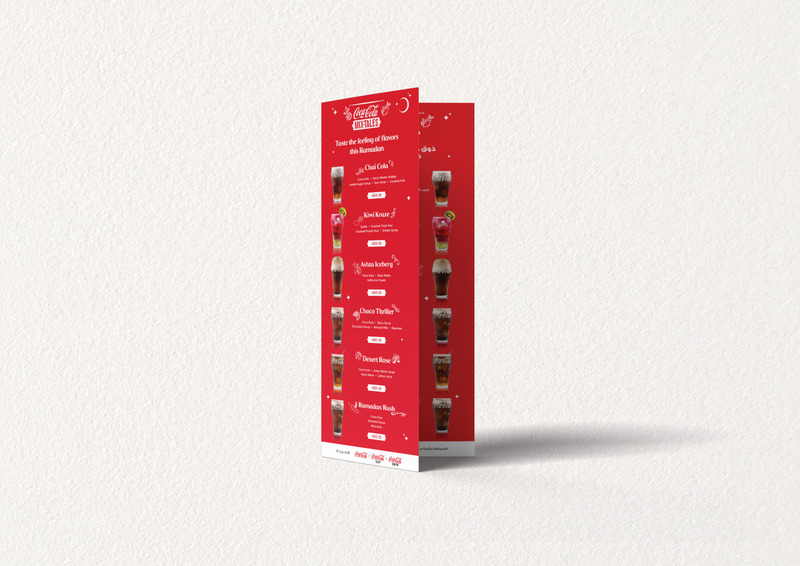 The agency was asked to create an on-site communication campaign. 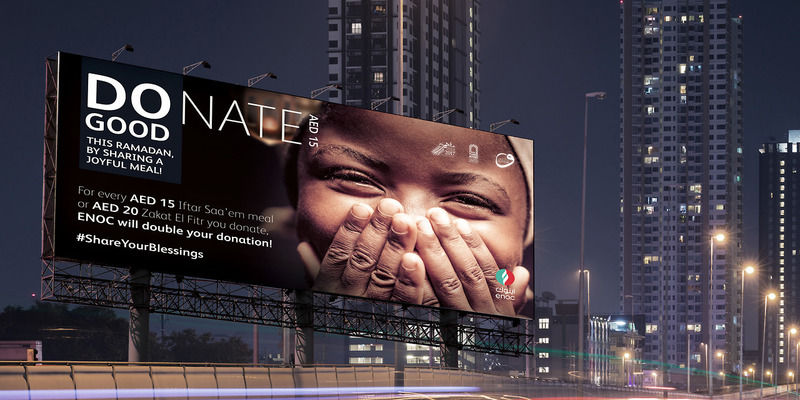 A clever play on words, writ large across an evocative face, played on the empathy of people asking them to contribute a meal to make someone's Iftar, Ramadan and Eid special. 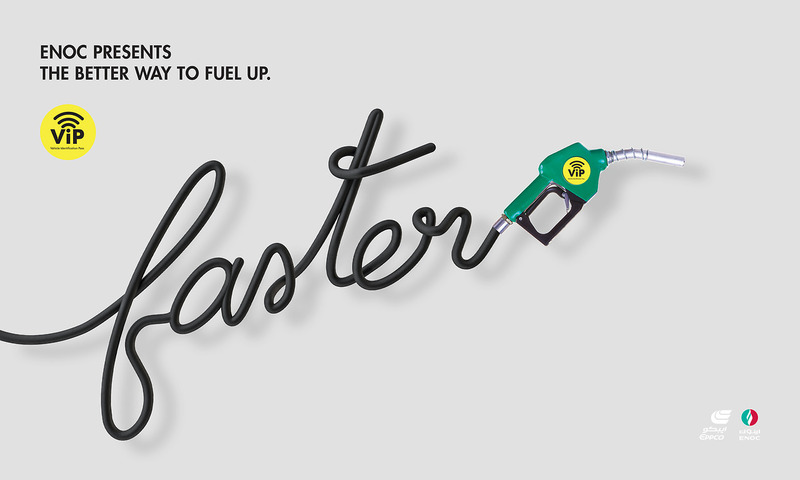 The graphic treatment of the headline that reads horizontally and vertically makes for an interesting twist to convey the message. 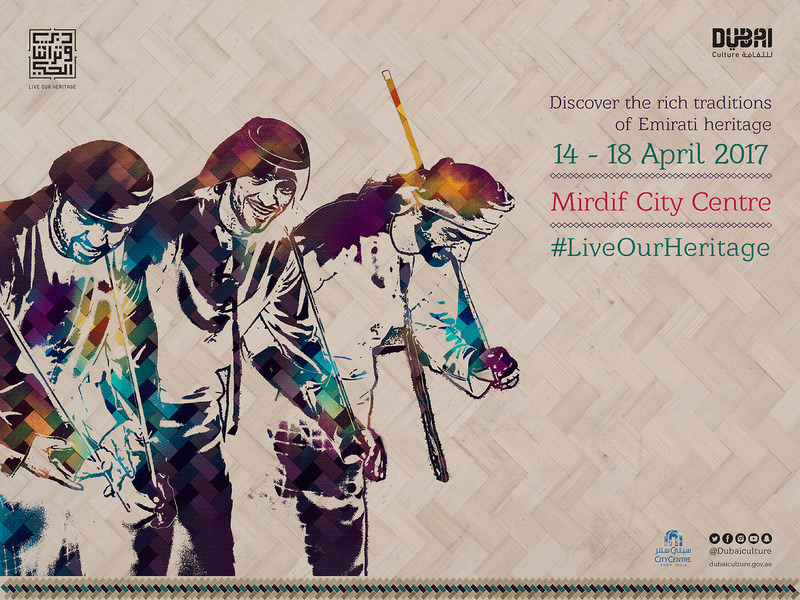 To promote the International Heritage Day on 18th April, the Dubai Culture & Arts Authority organized a Heritage Festival under the theme of Emirati Folk Arts. 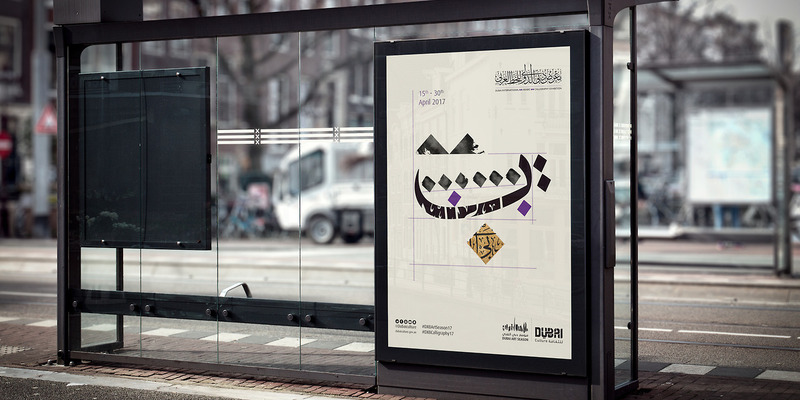 Our objective was to strengthen the national identity of locals, relate it with art and creativity, and get people to participate in the event. 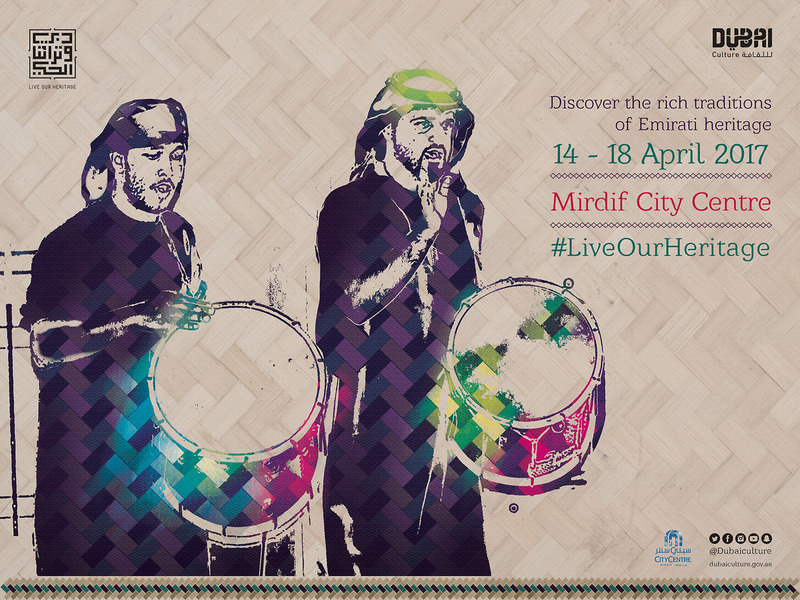 The festival brings together a collection of traditional artists and folk troupes for workshops, performances and entertainment. 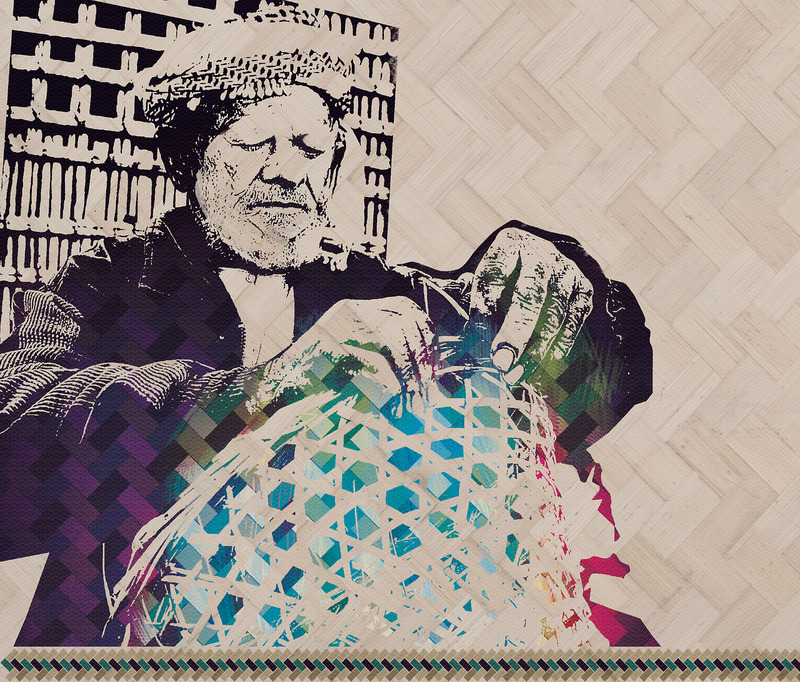 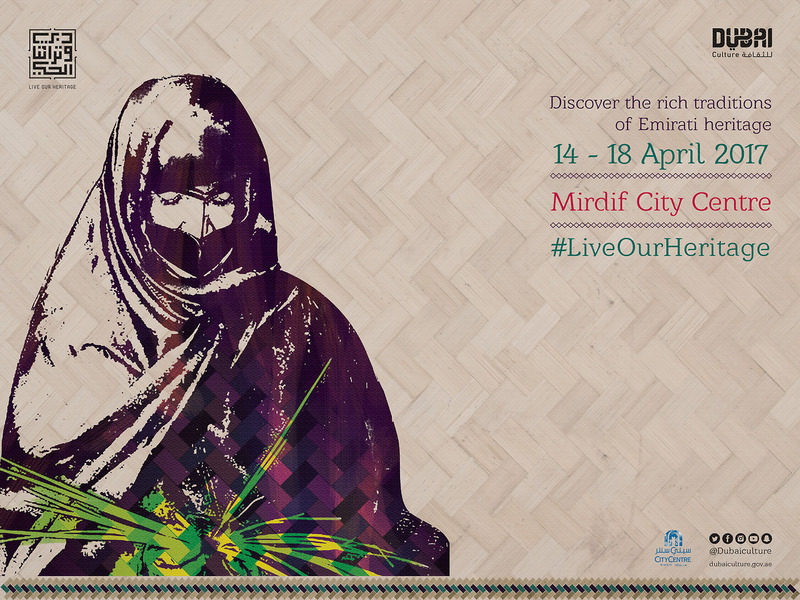 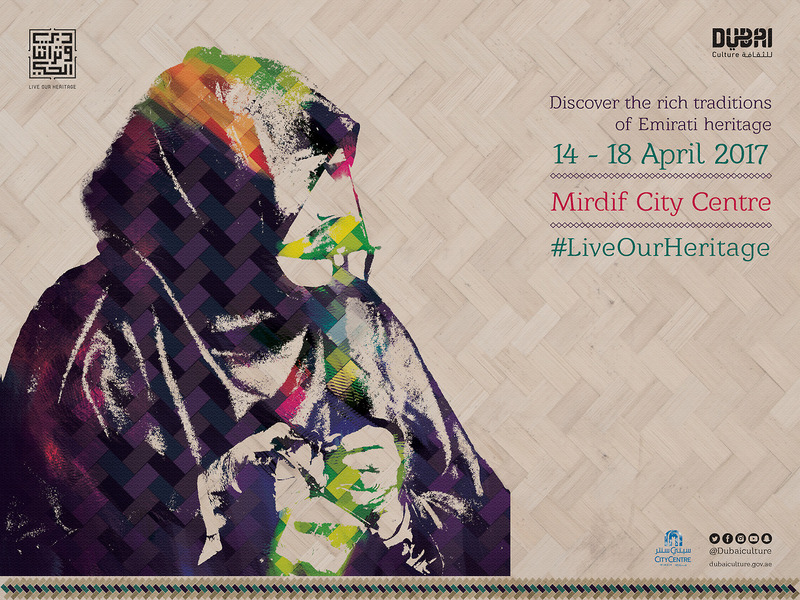 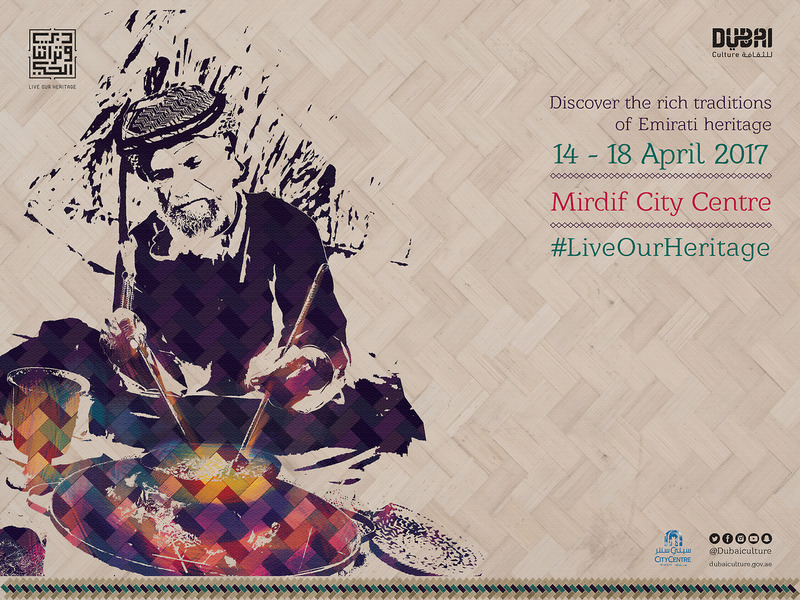 A journey of discovery of Emirati traditions and heritage. 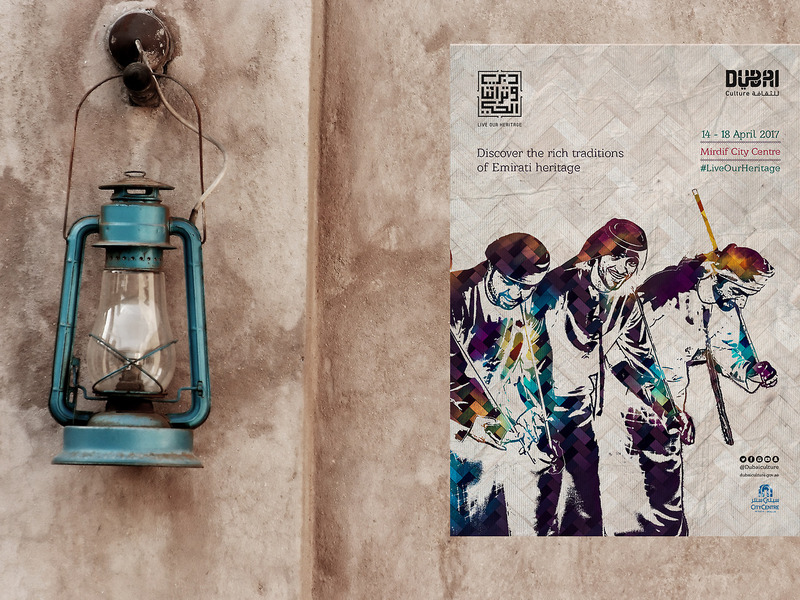 The agency created a series of posters, brochures, bow flags, and venue branding material along with a strong digital media adaptation, exhibiting folk artists and traditional artists at work. 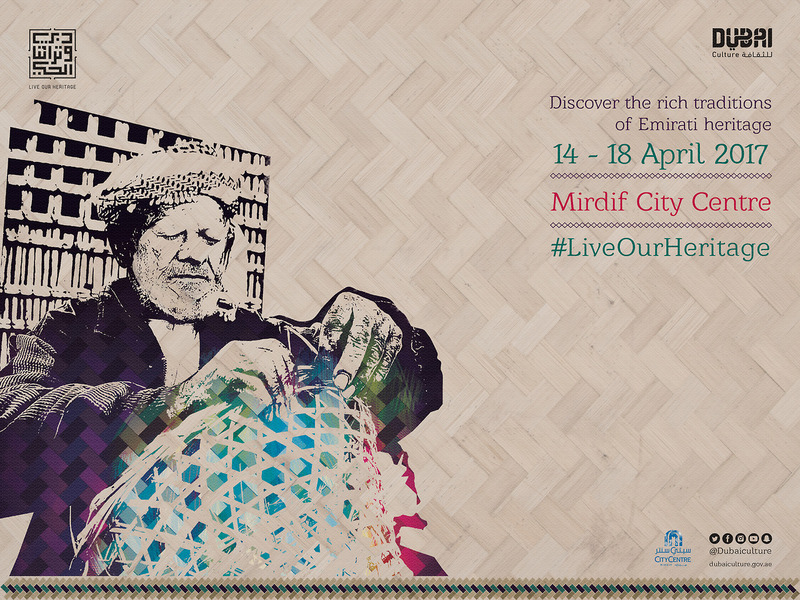 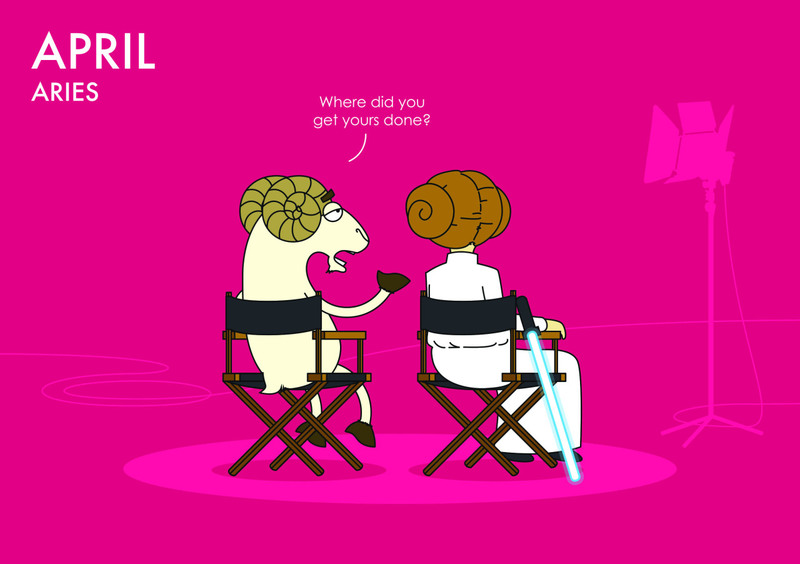 To carve a share of mind at The Middle East Film & Comic Con -the region's first and largest film, comic and art festival. 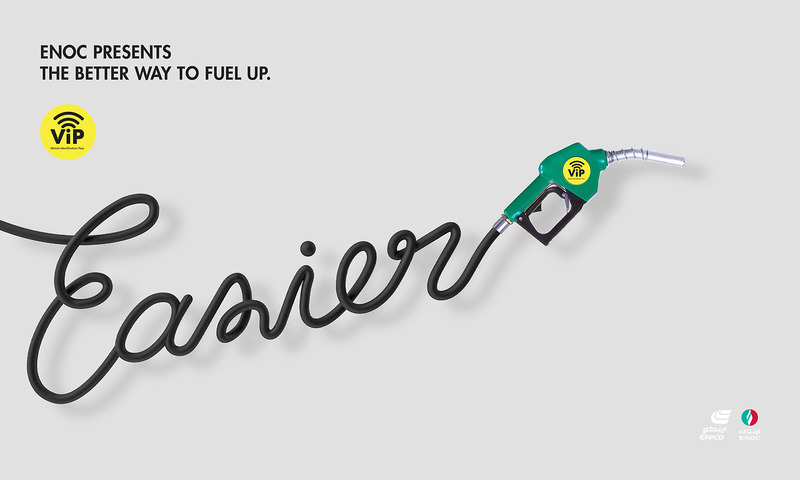 Having the widest network of convenience stores, ZOOM is always around to serve your needs. 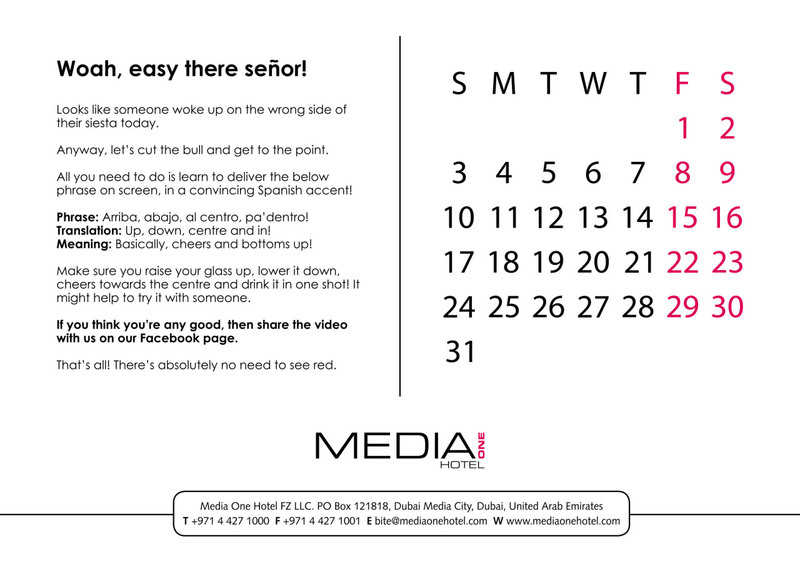 The USP was translated in a way that it resonates with Comic Con target audiences - ZOOM is there to save the day! 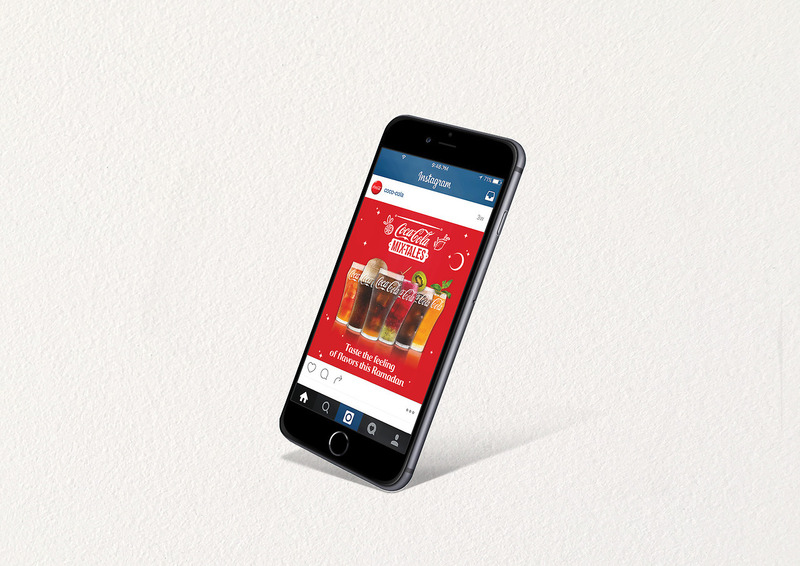 Create a campaign that embraces the Comic Con culture - and integrates ZOOM into the minds of the people visiting the festival.Because of the store's diverse product range - ZOOM is at Comic Con to Save The Day for everything that people need - be it refreshing beverages, meals or even snacks. 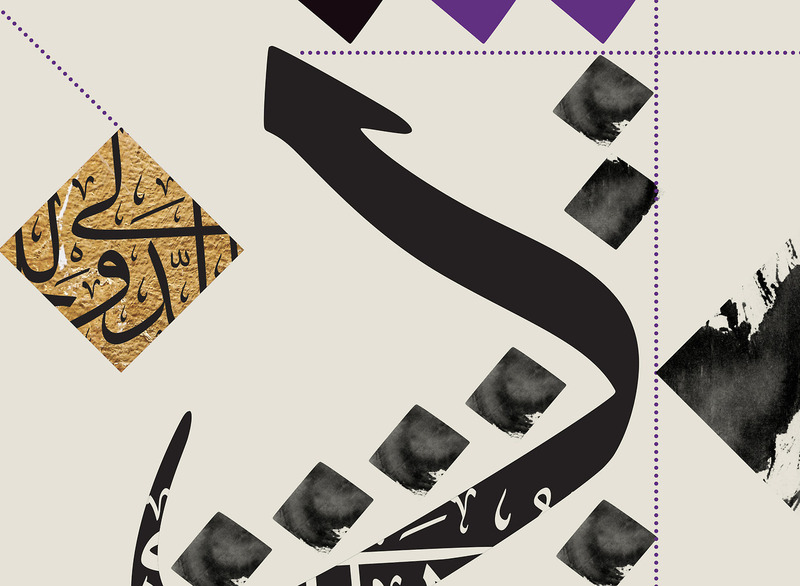 The language and visual vocabulary followed the Comic culture and in a way ensured ZOOM as the perfect fit for the event. 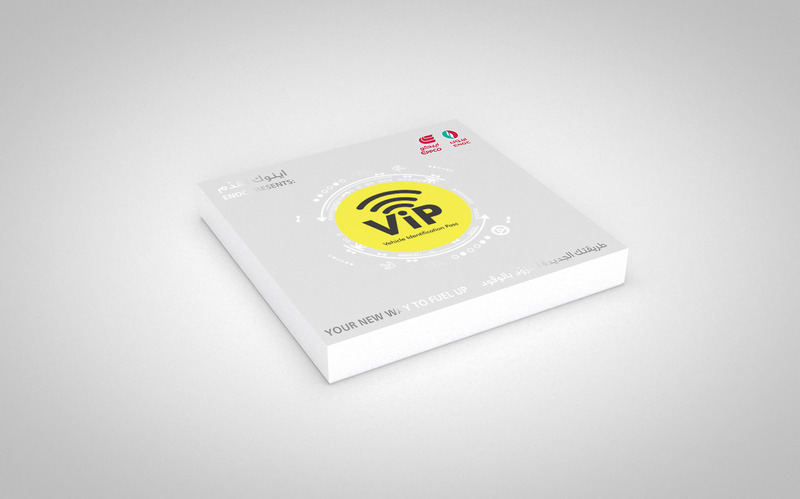 To launch the revolutionary new fuelling system from ENOC - ViP (Vehicle Identification Pass). 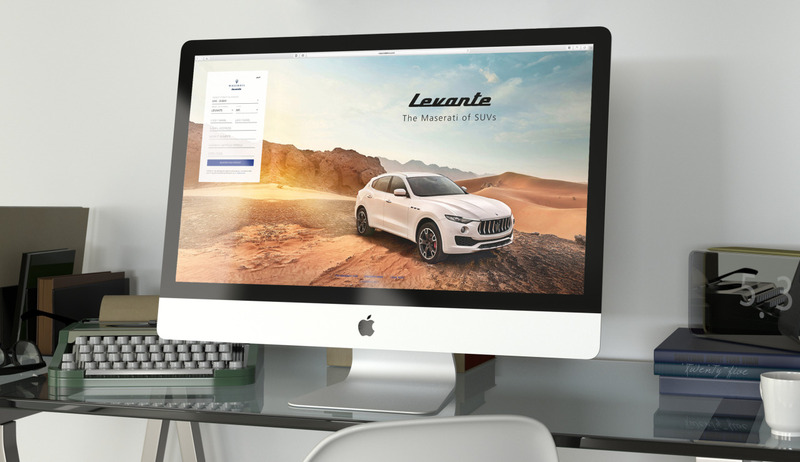 A completely automated solution that recognizes individual car's fuelling preferences, minimizing the transaction time,whilst even payments are automated, so the car owner does not have to wait to pay after every refuelling. 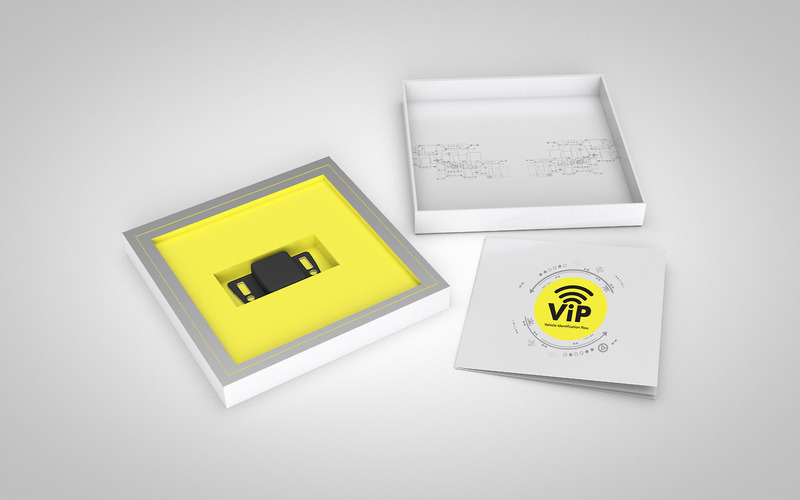 ViP (Vehicle Identification Pass) is an innovative, smart technology that improves the fueling experience of individuals and corporate fleet on many fronts. 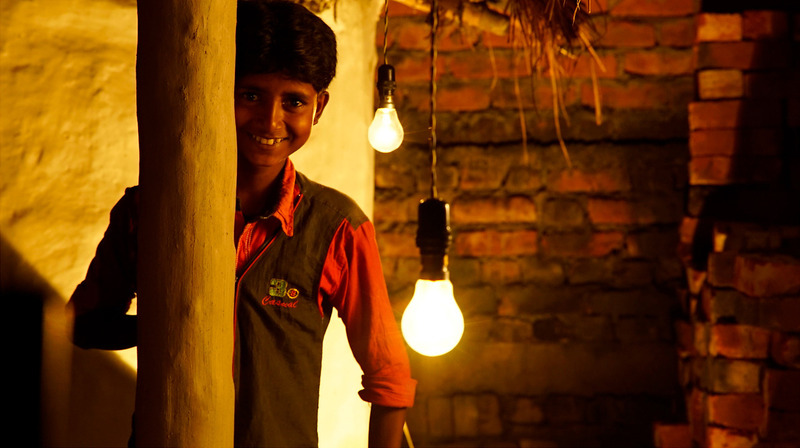 Recognizing Diwali as a key money transfer occasion, Western Union wanted to drive transactions for the occasion while elevating the brand's promise of 'Better things happen when money moves, and nobody moves money better than Western Union.the brief was to reinforce the 'Light Up A Village' initiative and encourage the global Indian audiences to send money during Diwali and bring light to more villages. 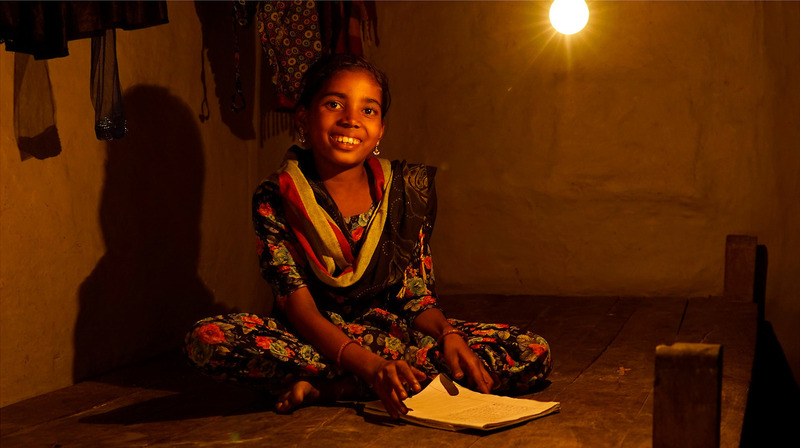 An initiative fulfilling a true moment of need - sharing the gift of electricity with thousands of villagers who live without this basic amenity. 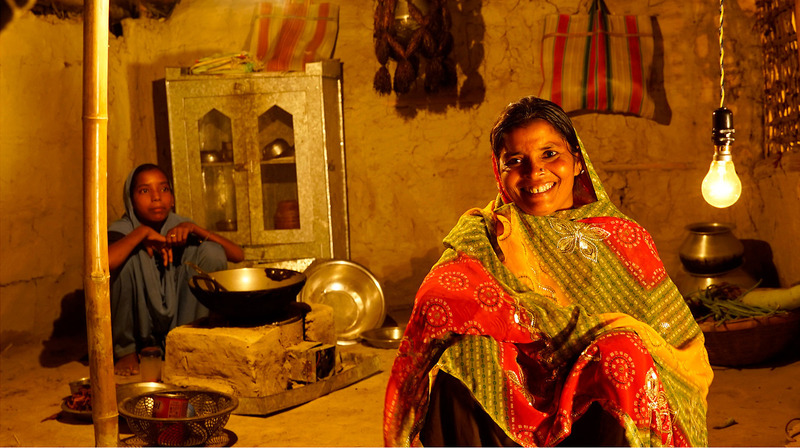 A momentous opportunity for our target audiences to move money during Diwali and be part of making life better for villagers in India. 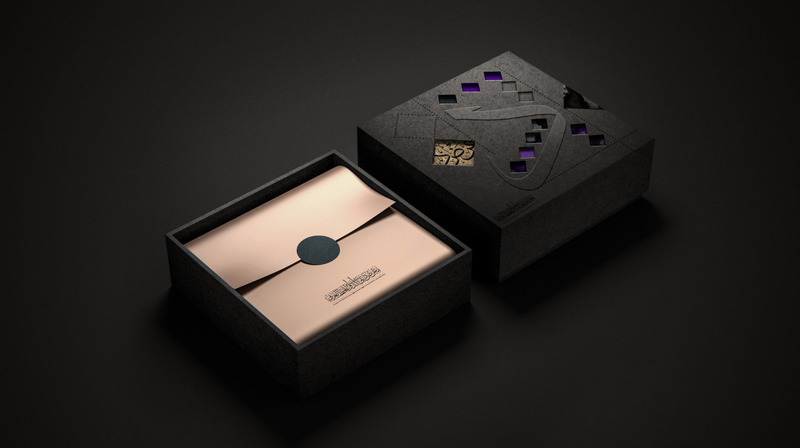 Western Union wanted to connect with its diverse expatriate target audience and create a series of brand stories that reflect the spirit of Western Union's brand motto of 'Moving Money For Better'. 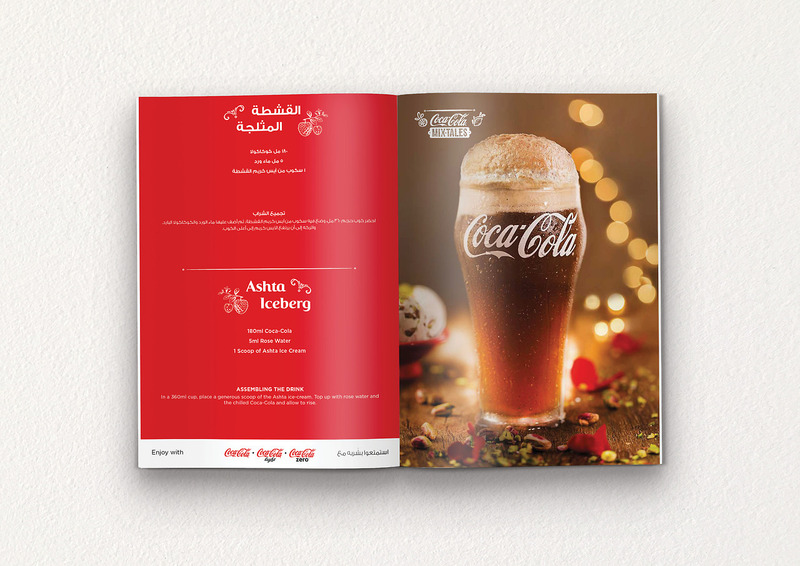 We needed to raise awareness on its brand values as well as forge a stronger emotional connection between the brand and its target audiences. 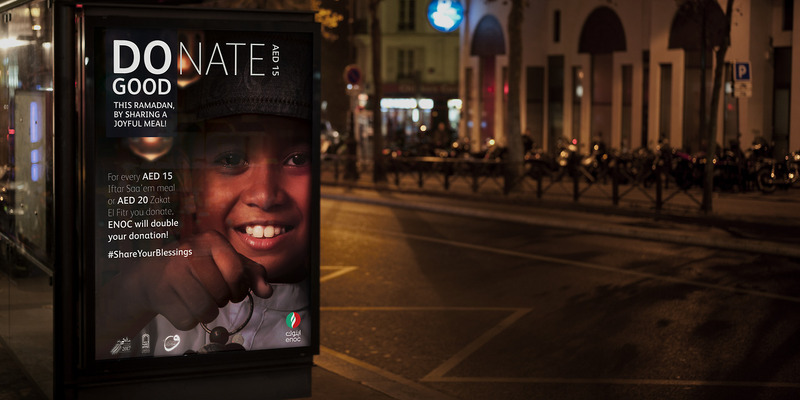 Understanding the aspirations of our target audiences, and living true to our brand motto, we wanted to make a meaningful difference in their lives. 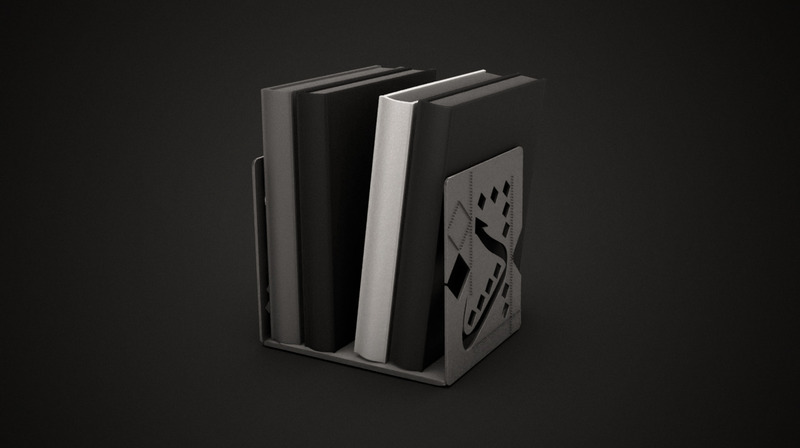 It is this mission that led to the concept of moving money to fulfilling wishes for better. 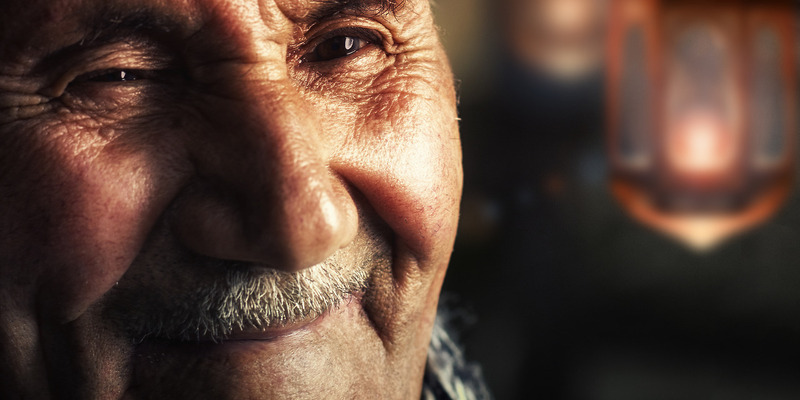 An opportunity to showcase that moving money can bring a positive difference to people's lives. 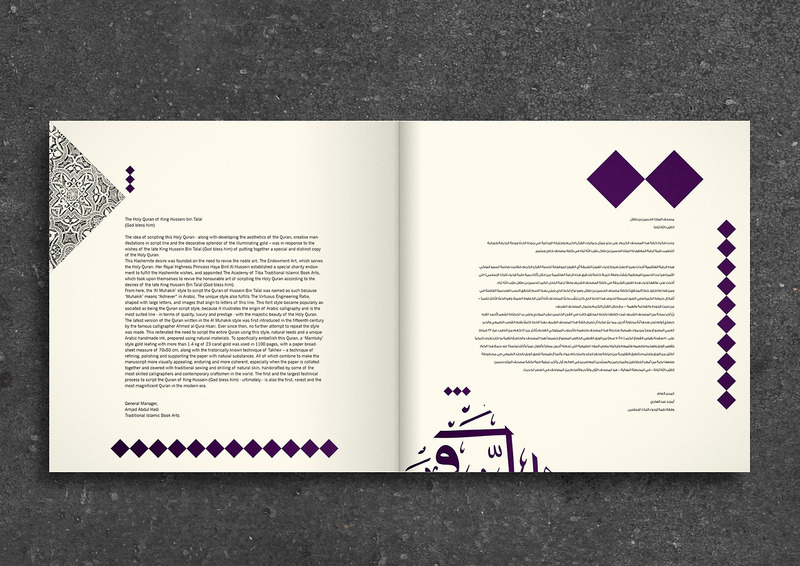 We asked people what was their biggest wish and set out in earnest to fulfill it. 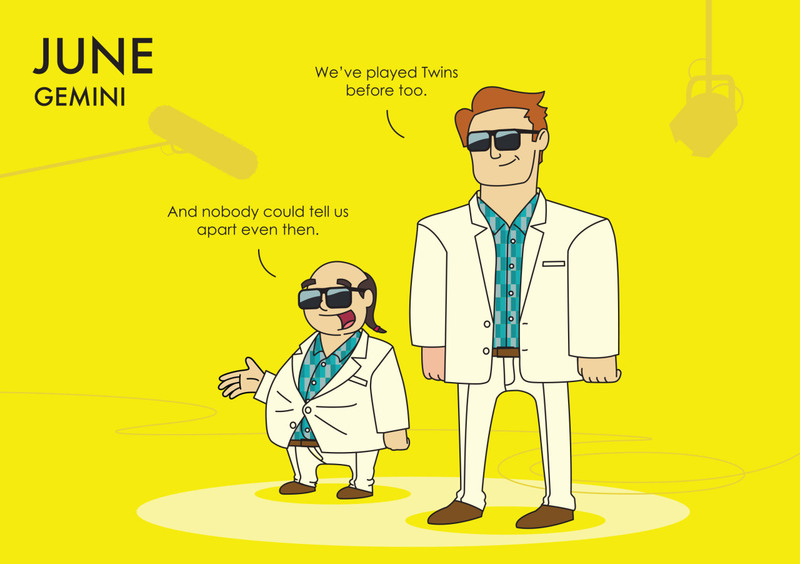 What we realized was that, almost always, their biggest wish wasn't for themselves, but for somebody else. 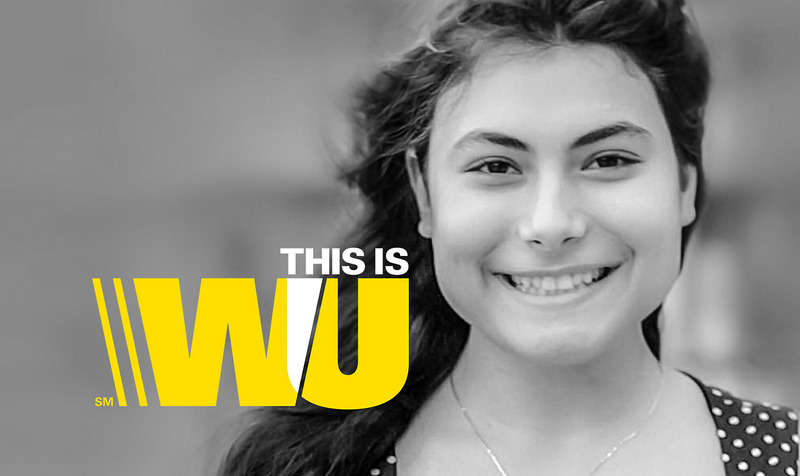 A series of touching stories came to light and Western Union offered financial help to make their wish come true. 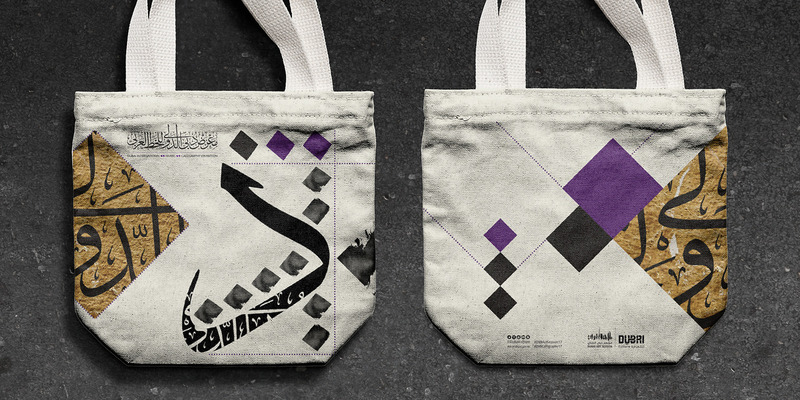 The campaign took off over a microsite and social media channels, interacting through #WUwish. 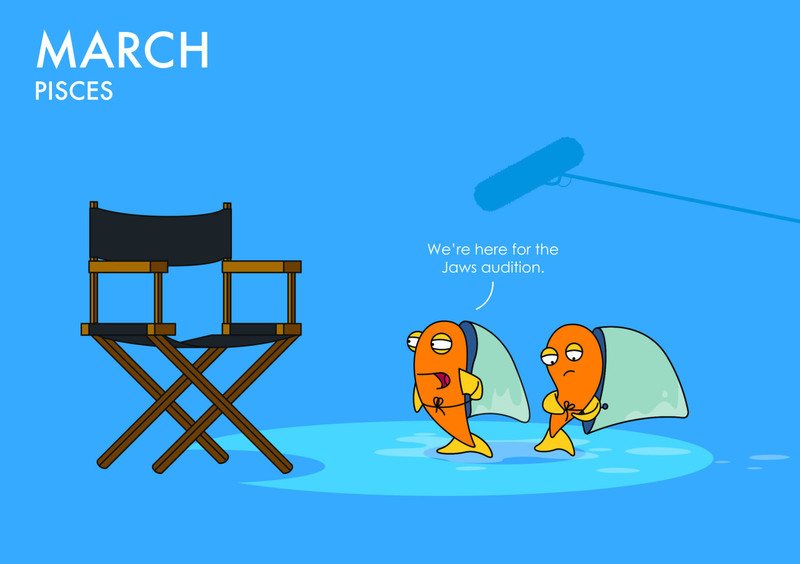 #WUwish became an organic entity providing more than 1080 stories.The social media campaign garnered 1,916,011 views, had a reach of 4,827,062, tallied 34,330 likes and was shared 7,313 times.The campaign which broke out during the month of May was such a resounding success that it was extended during the following months into Ramadan. 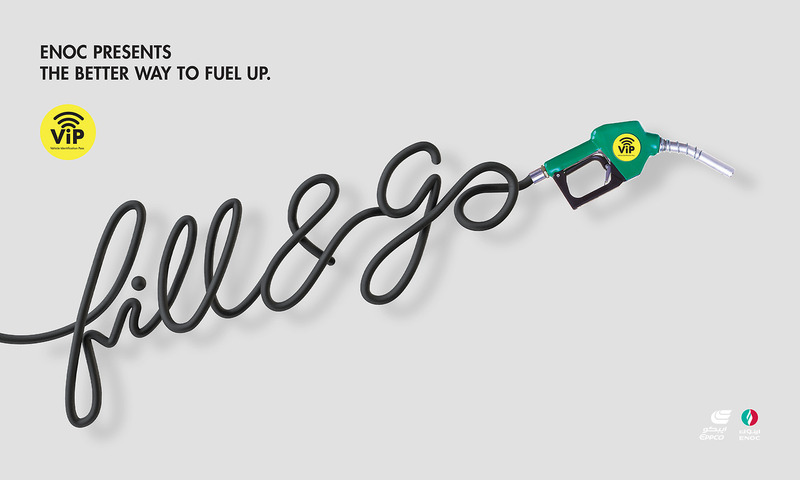 Western Union ended up fulfilling a lot more WU wishes than it intended to. 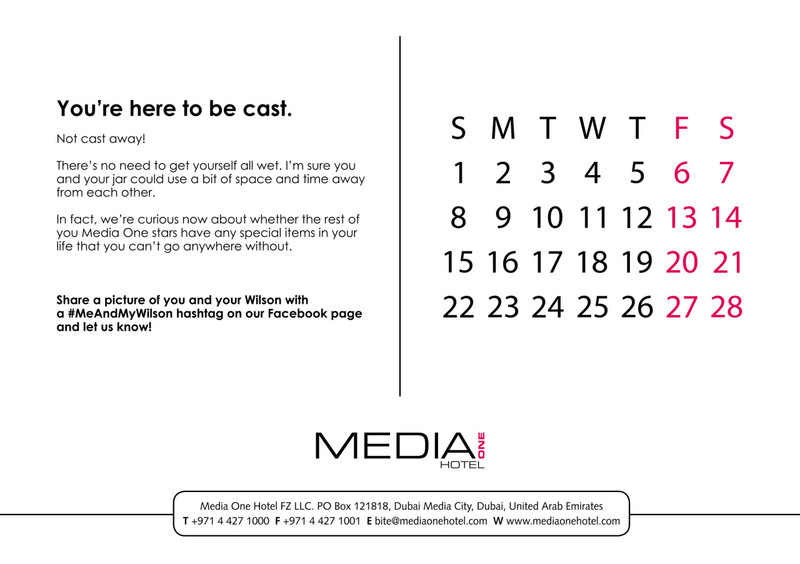 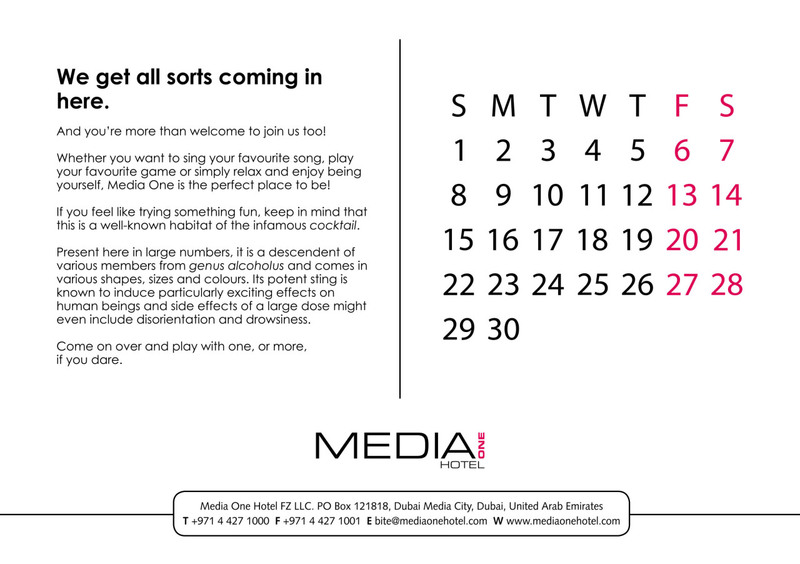 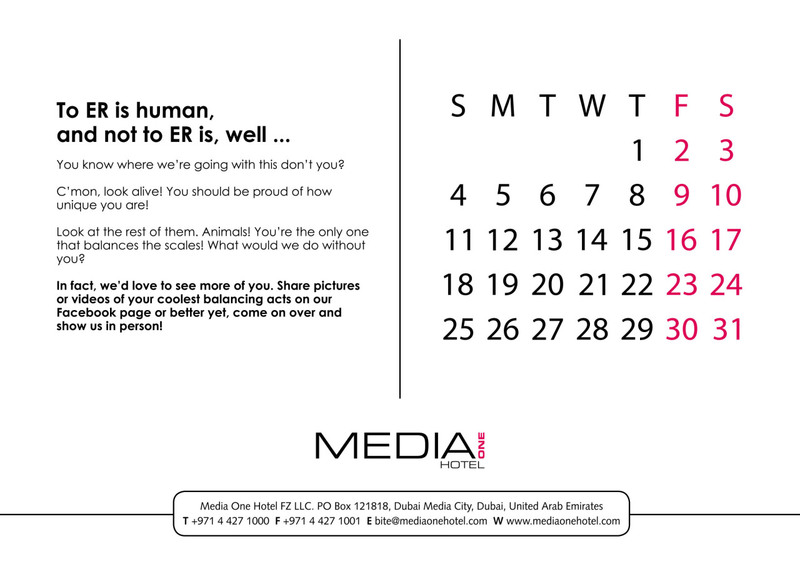 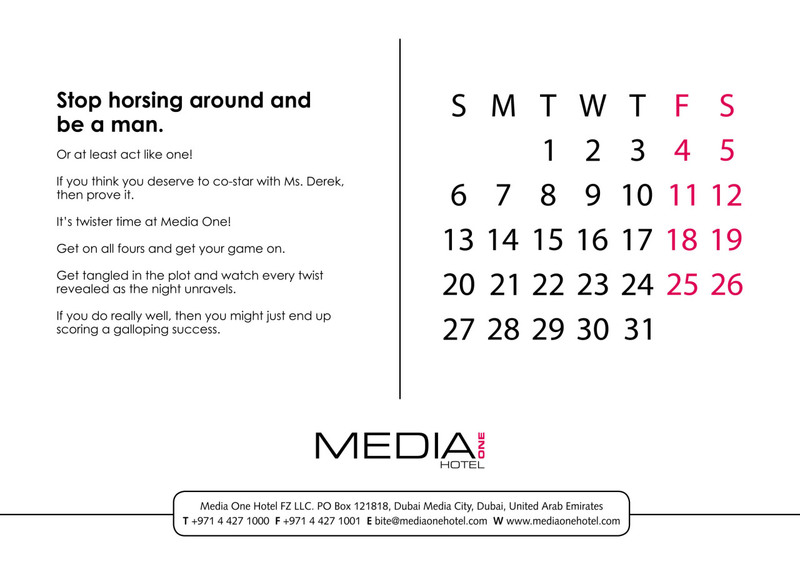 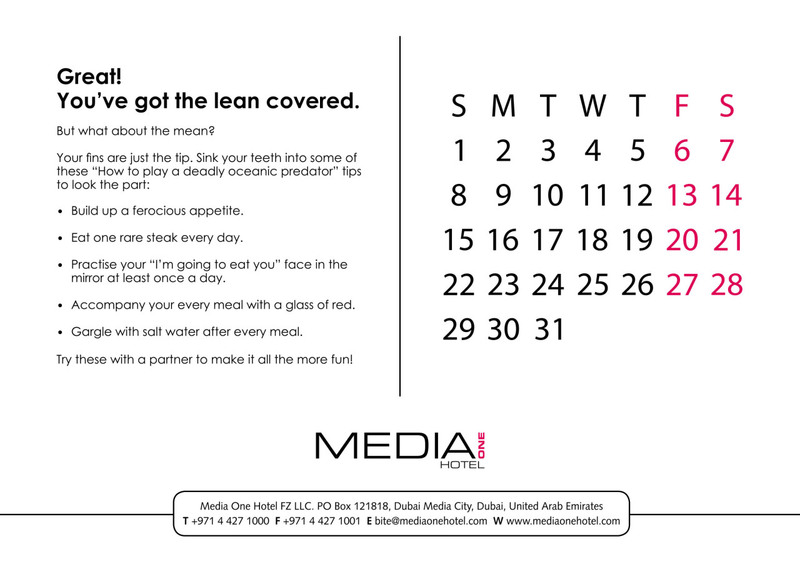 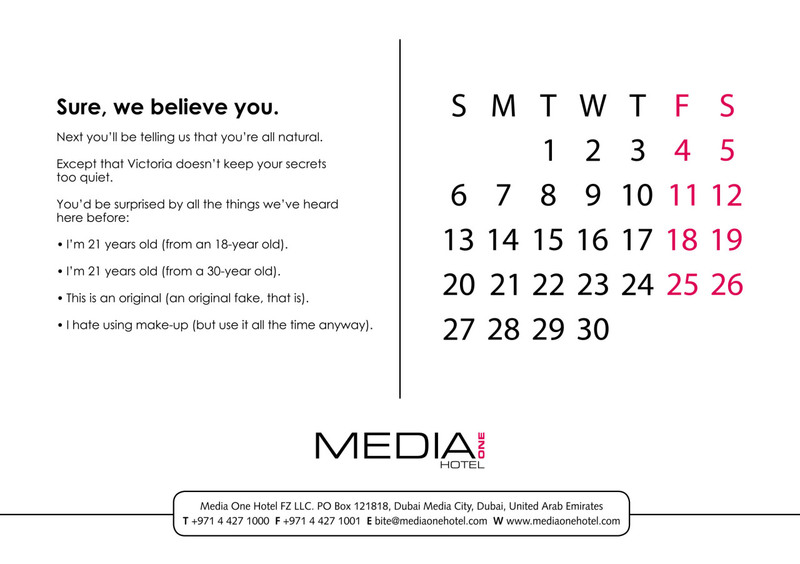 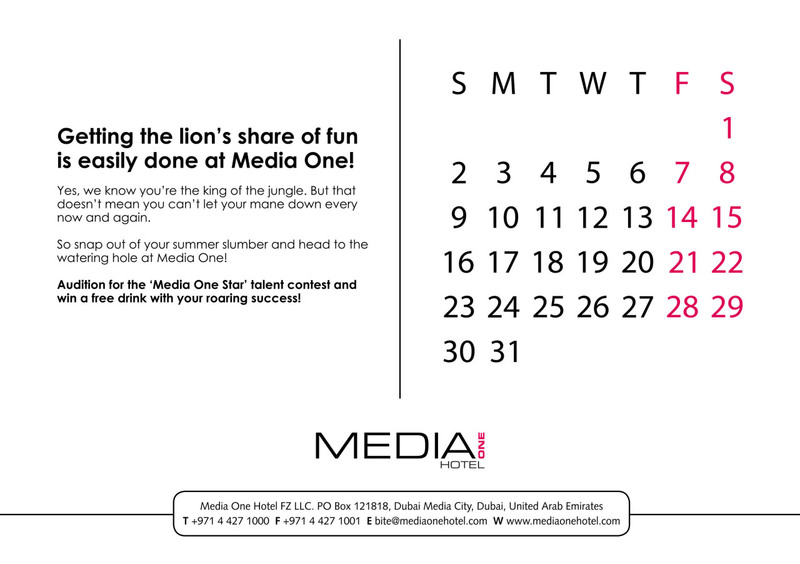 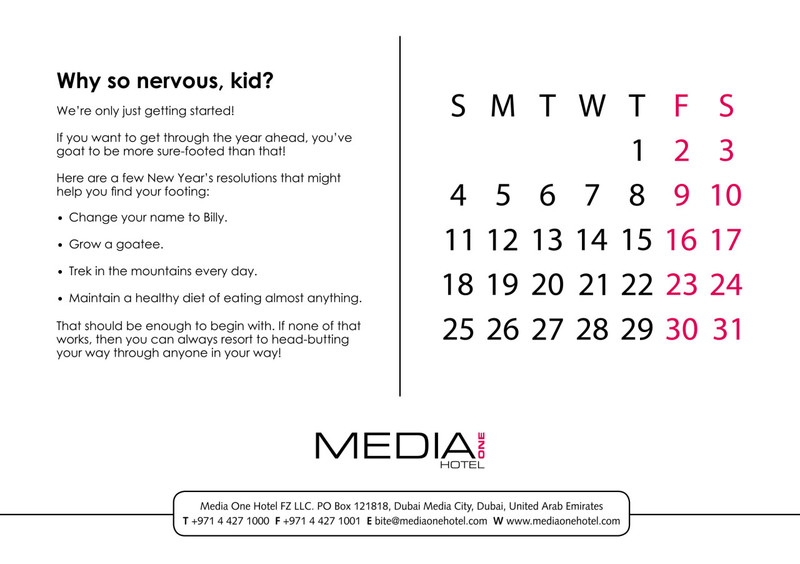 The Media One hotel tasked us with bringing its brand values of fun, wittiness, and quirkiness to life through its annual calendar. 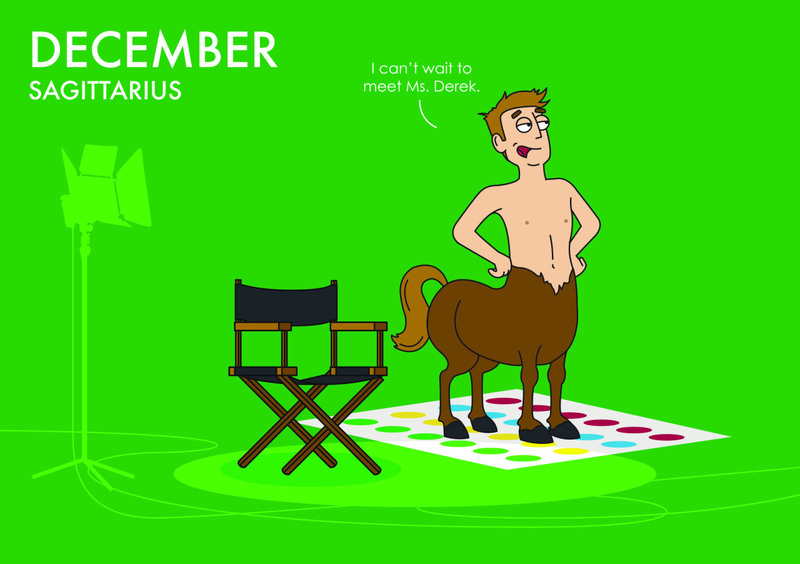 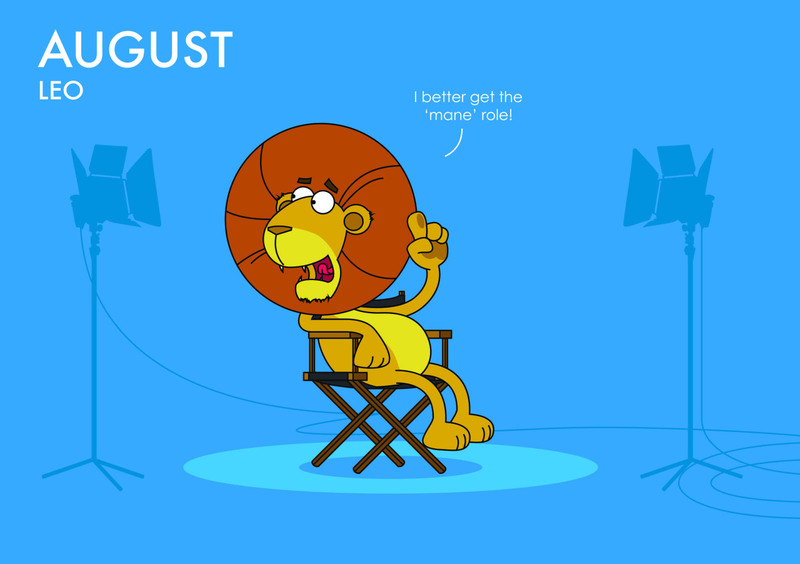 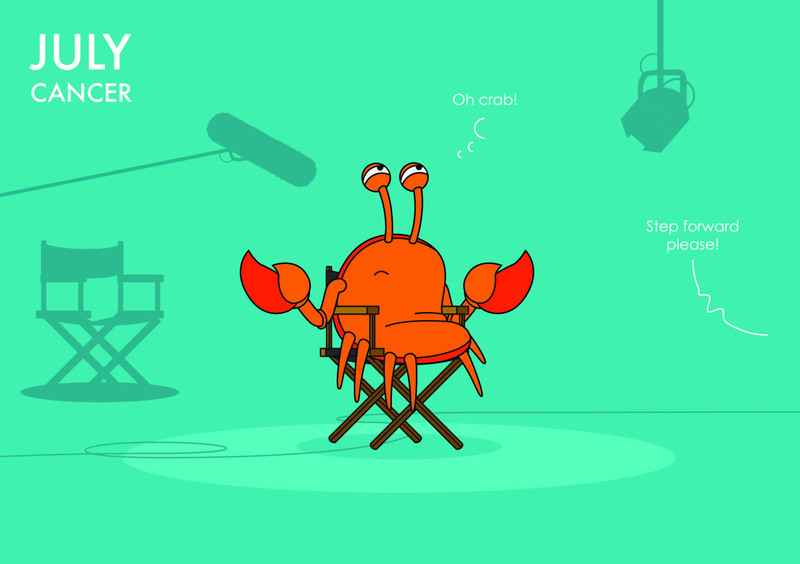 The agency created unique audition occasions based on star signs for customers. 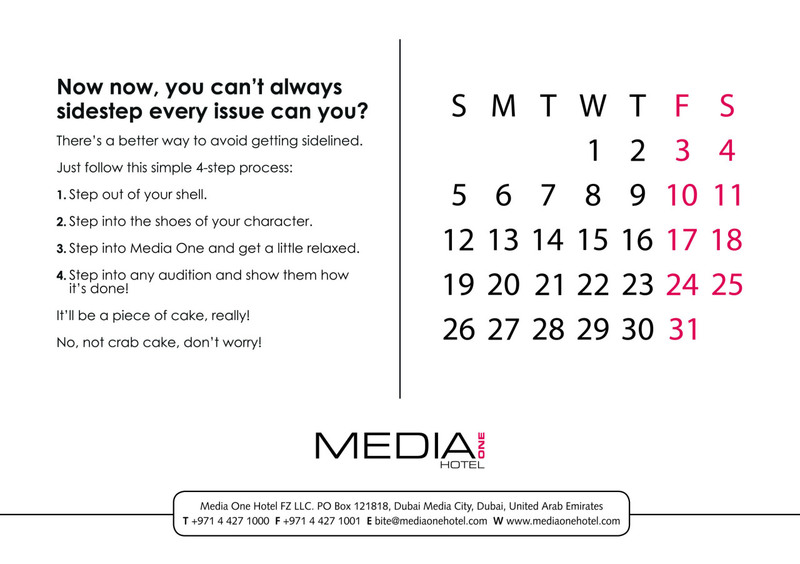 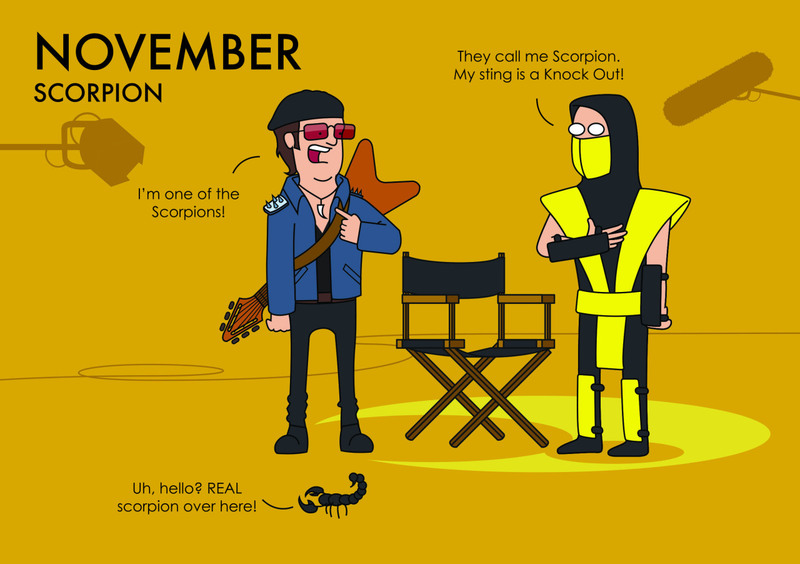 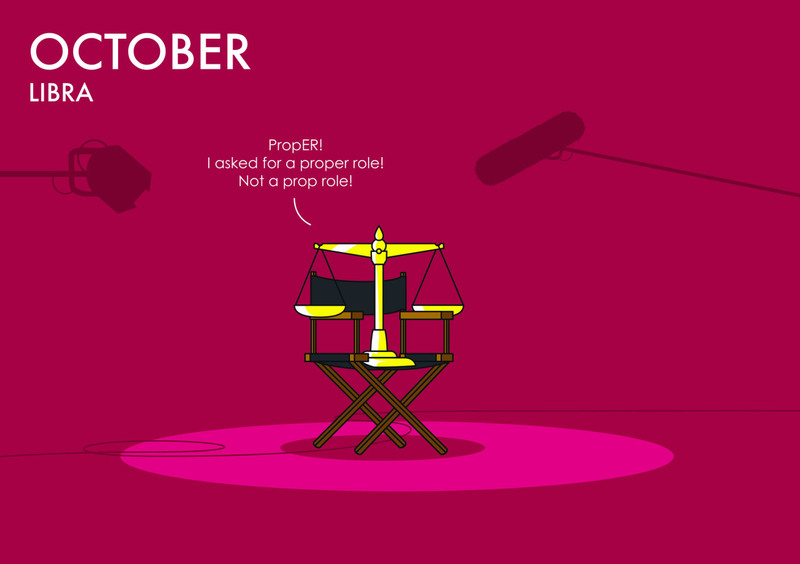 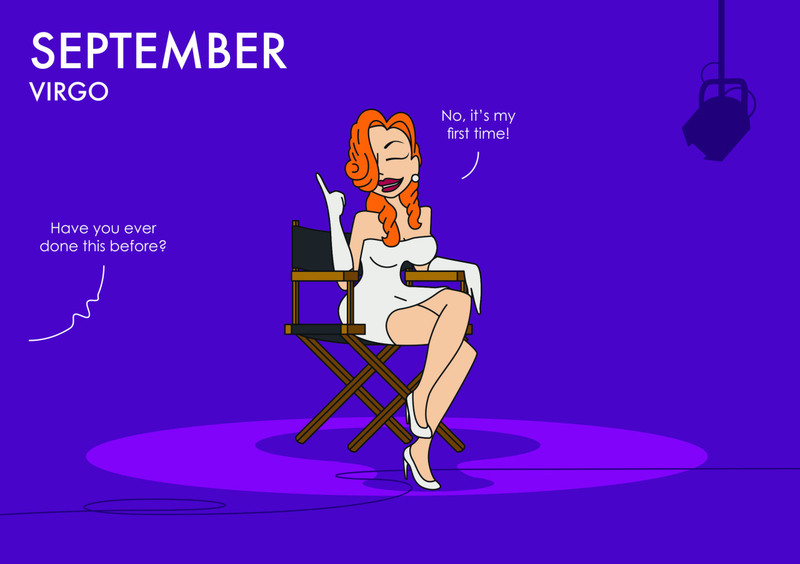 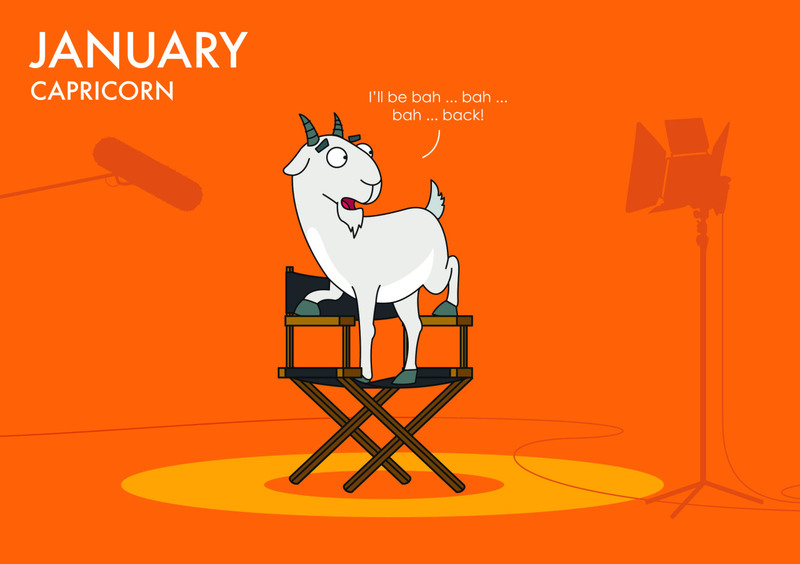 We created audition occasions based on star signs. 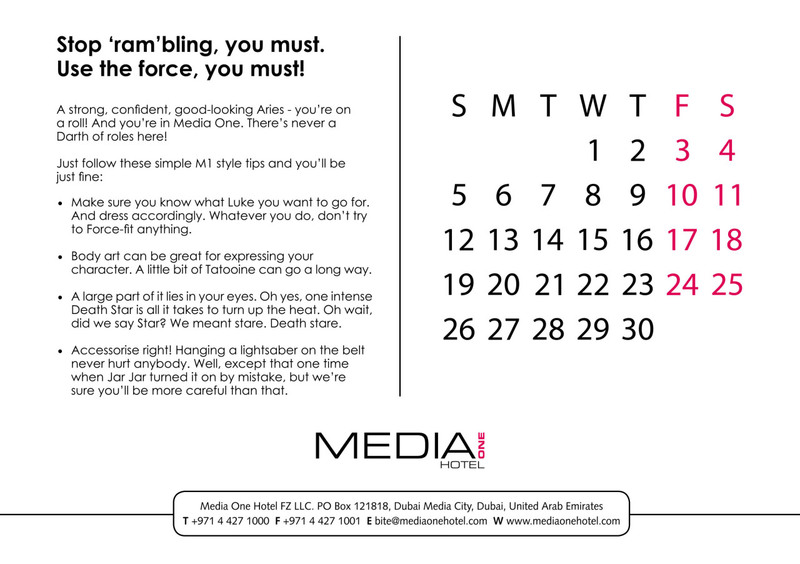 Customers were invited to show up at Media One Hotel based on the theme which was anchored on the star sign. 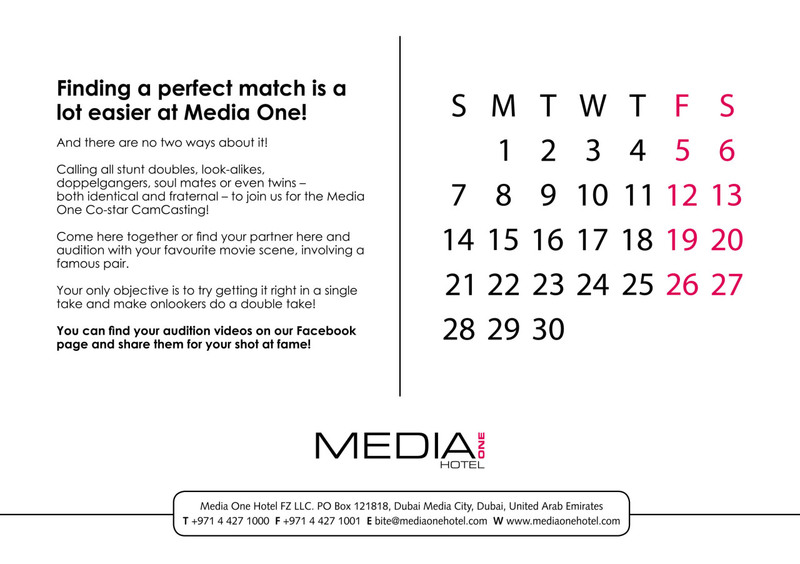 This gave Media One Hotel the opportunity to extend this campaign organically into the social sphere while allowing customers also to share their audition videos in the social media circuit. The brand values of fun, wit and quirkiness were clearly established. 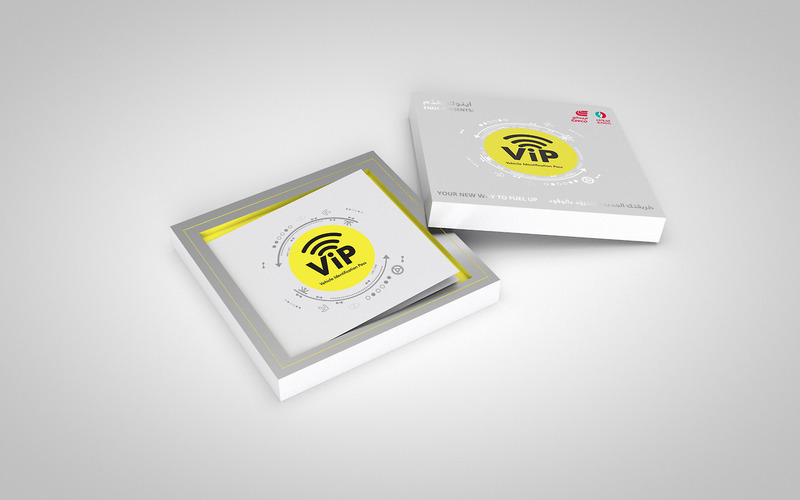 It connected with the Media One audience and became a talking point. 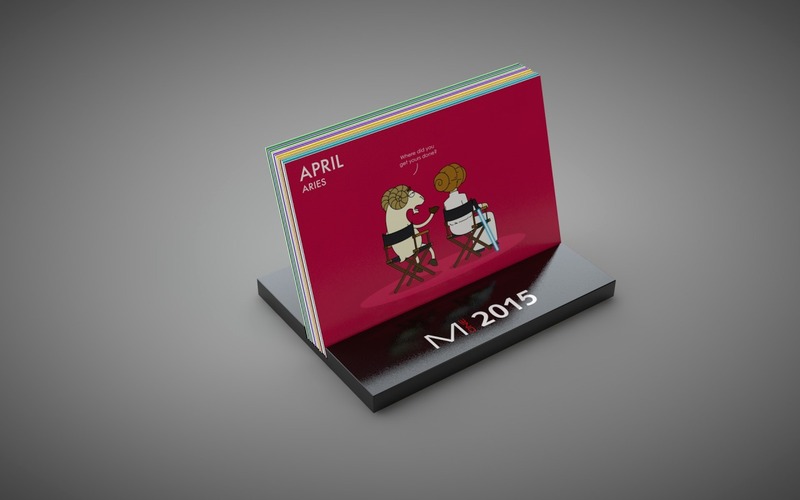 More importantly, it created an annual activity that generated word of mouth and share in the social circuit.